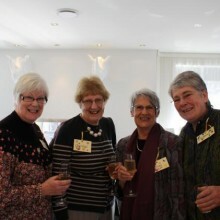 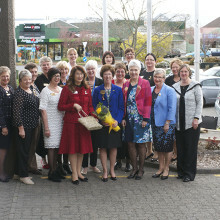 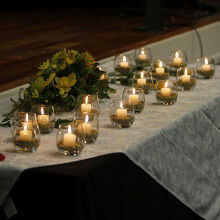 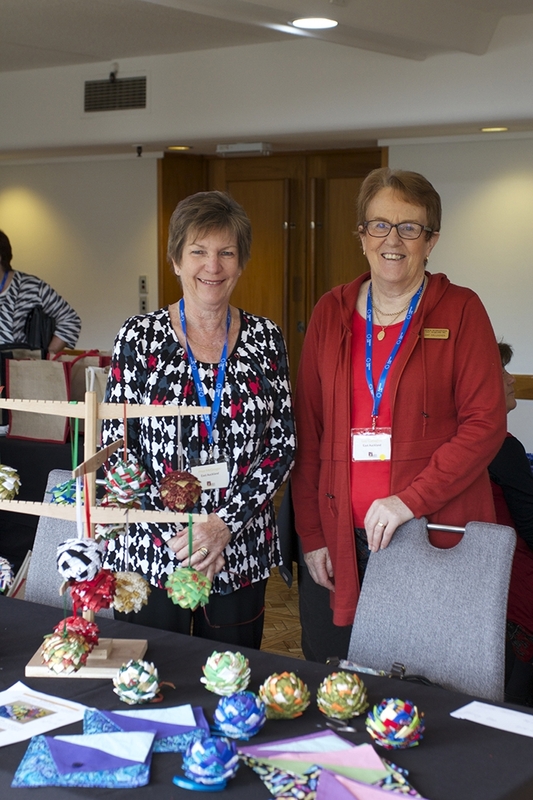 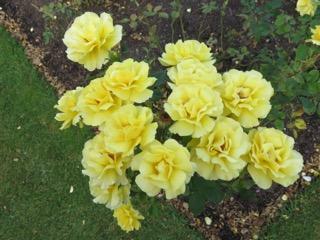 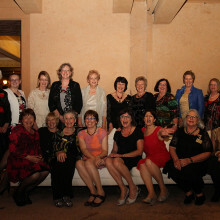 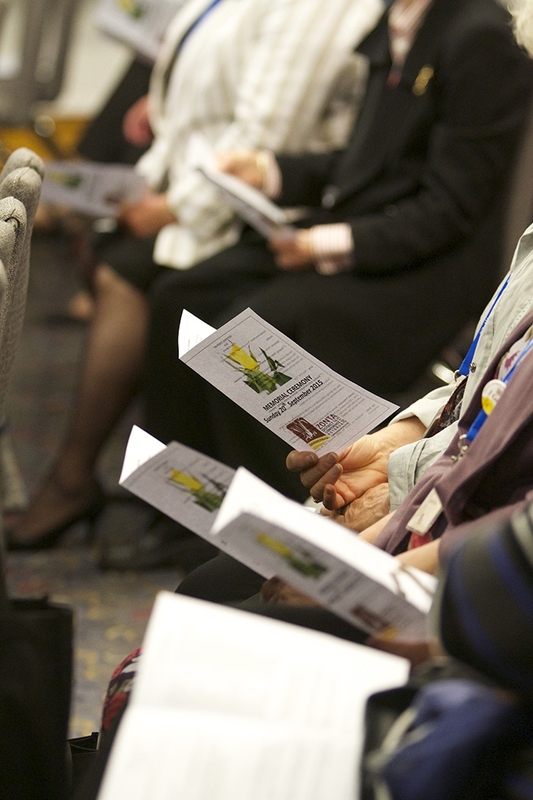 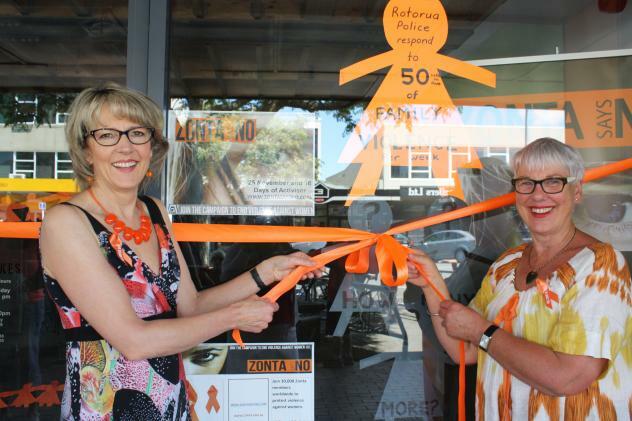 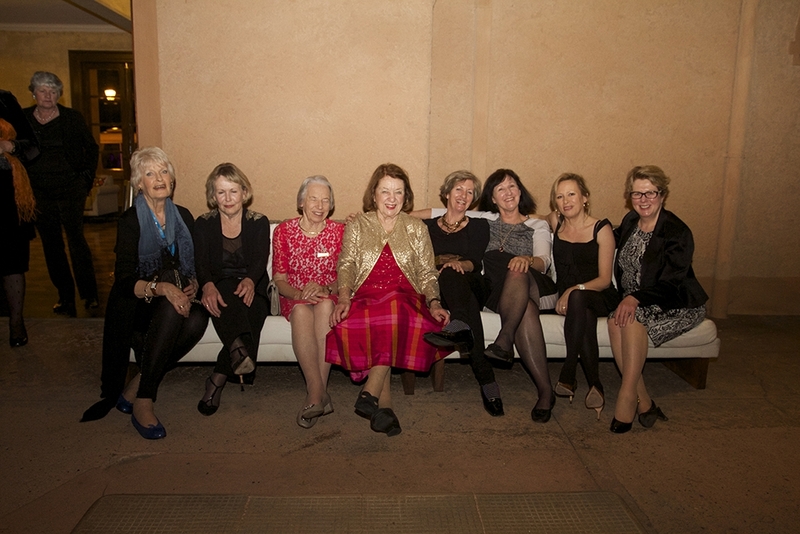 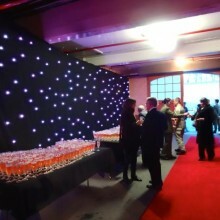 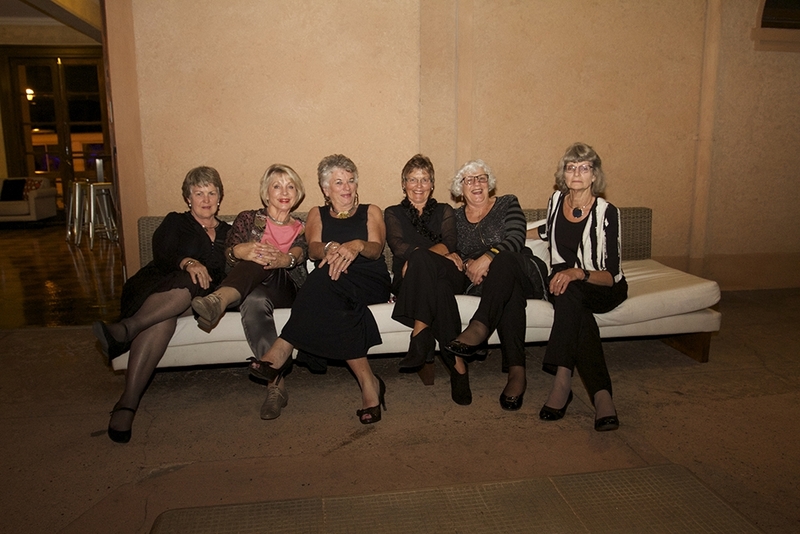 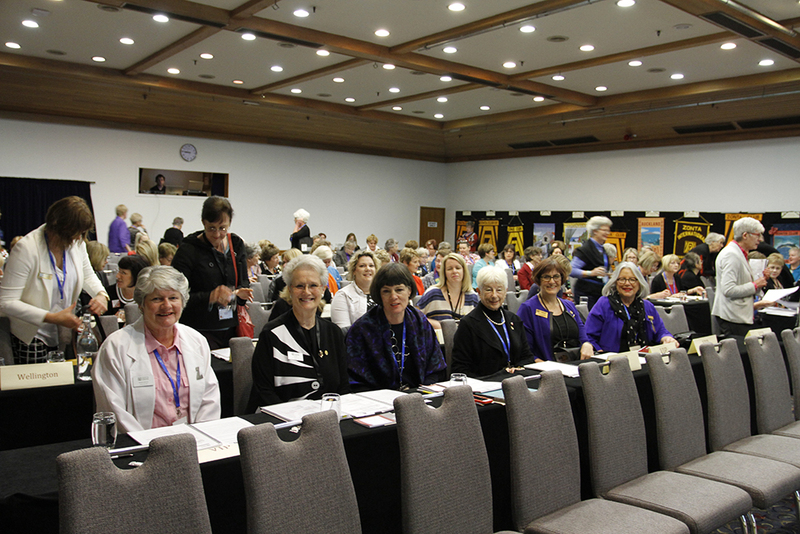 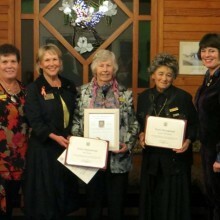 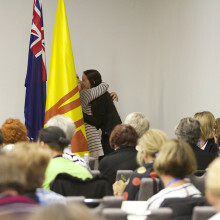 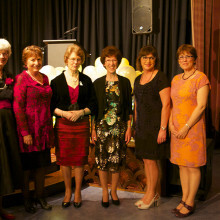 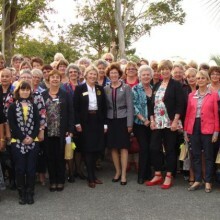 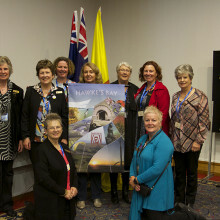 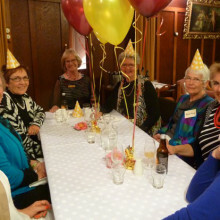 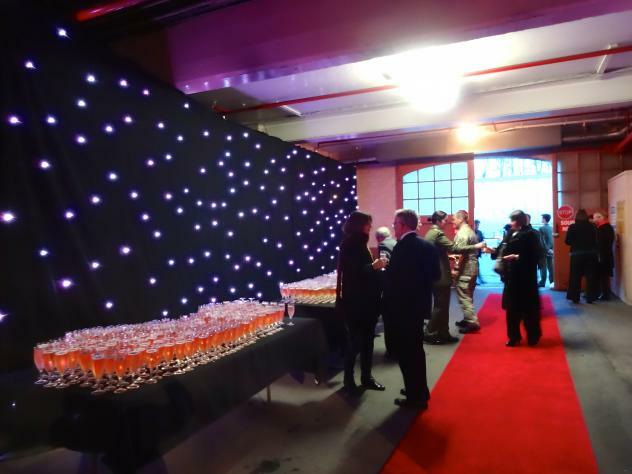 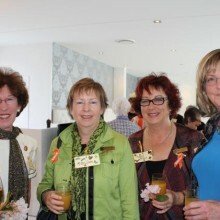 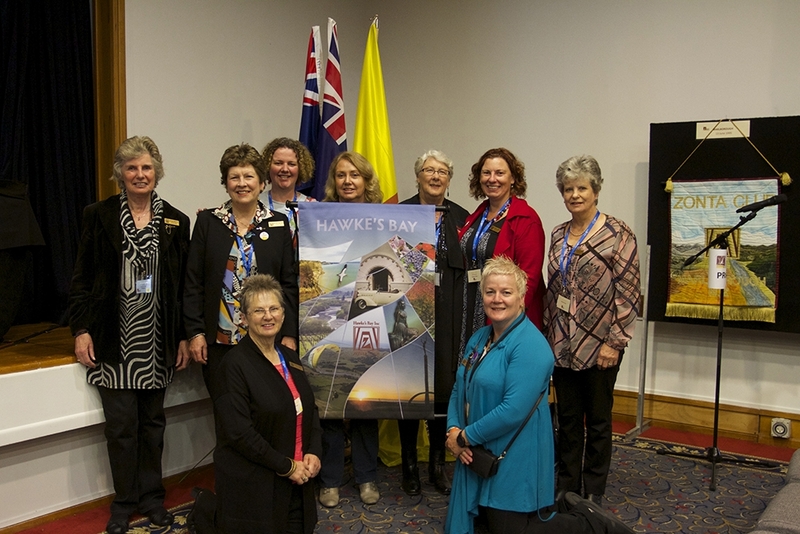 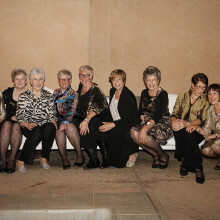 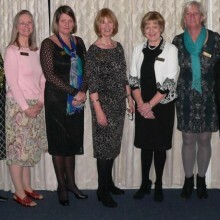 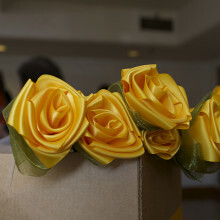 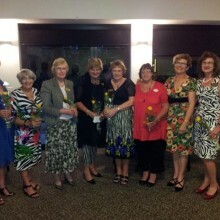 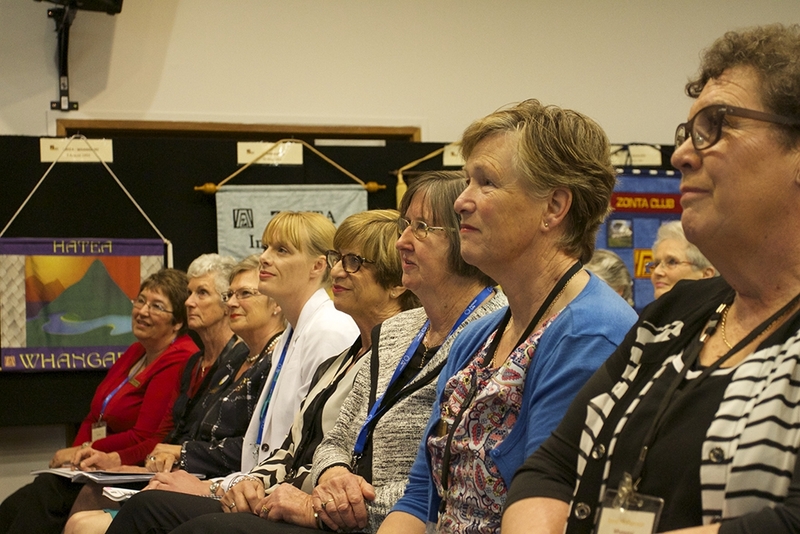 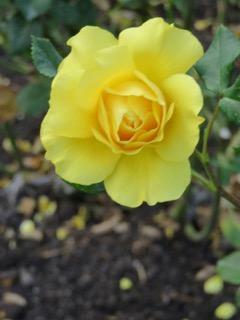 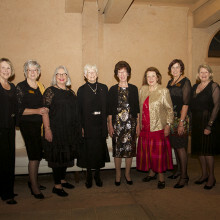 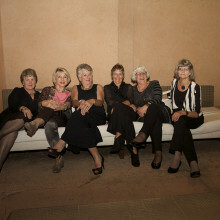 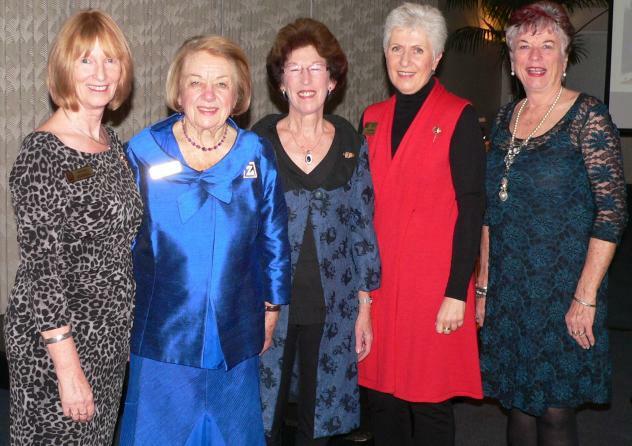 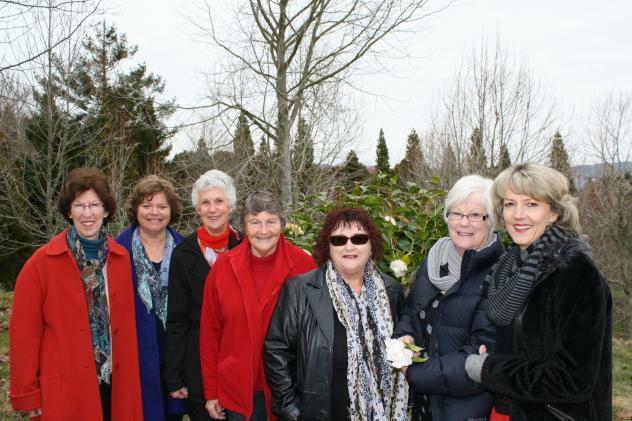 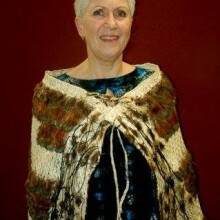 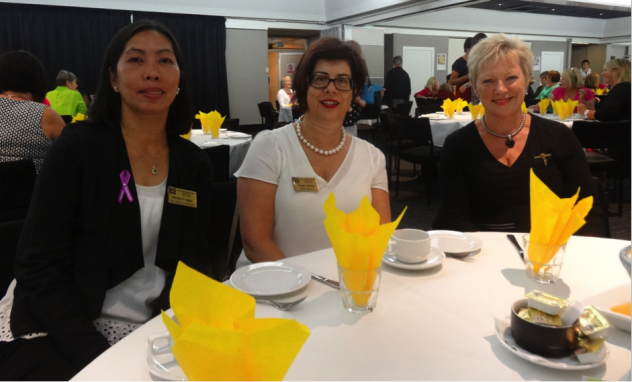 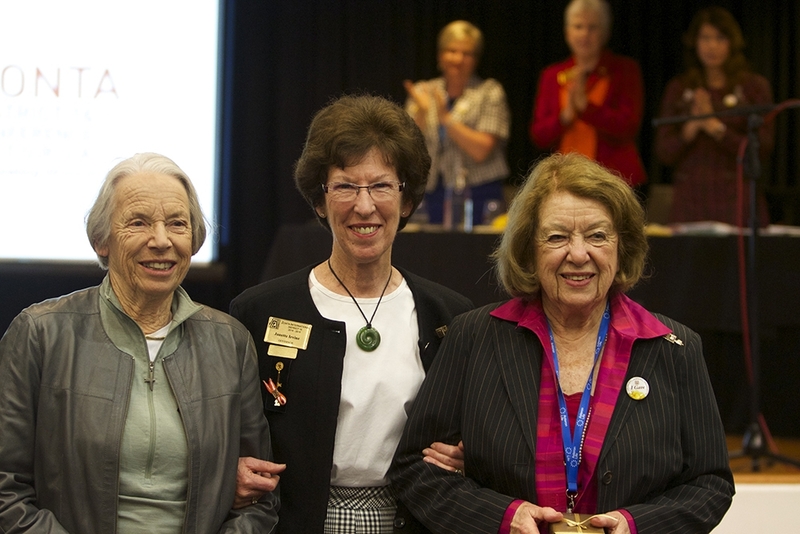 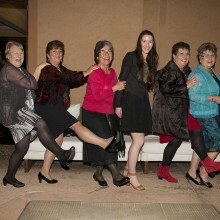 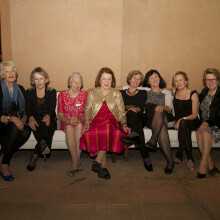 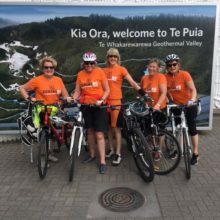 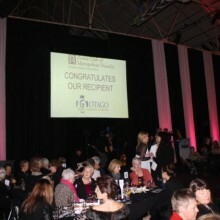 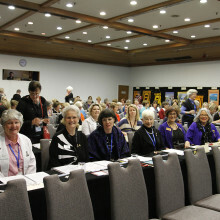 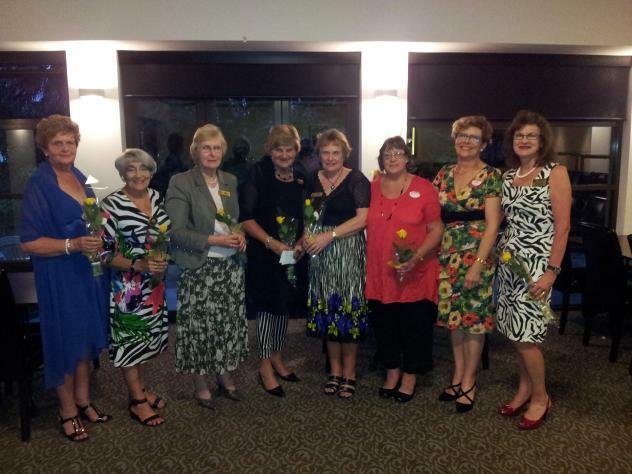 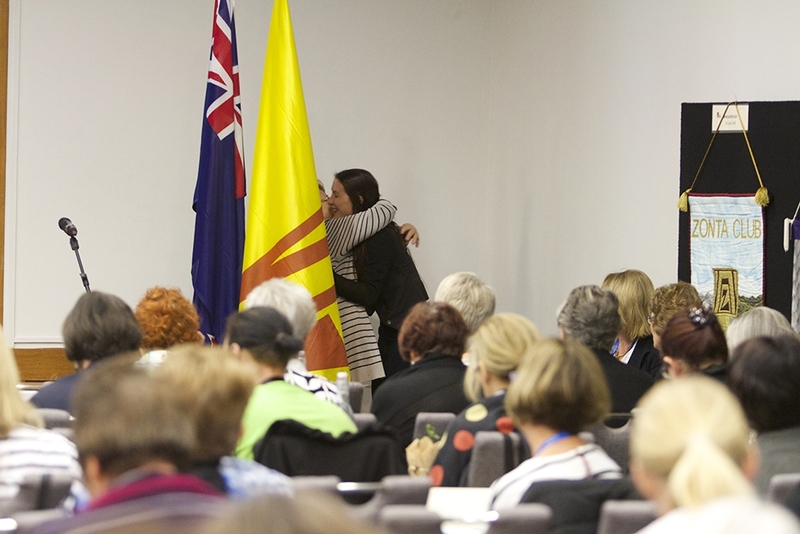 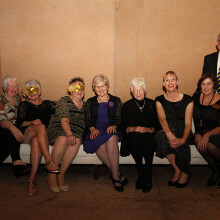 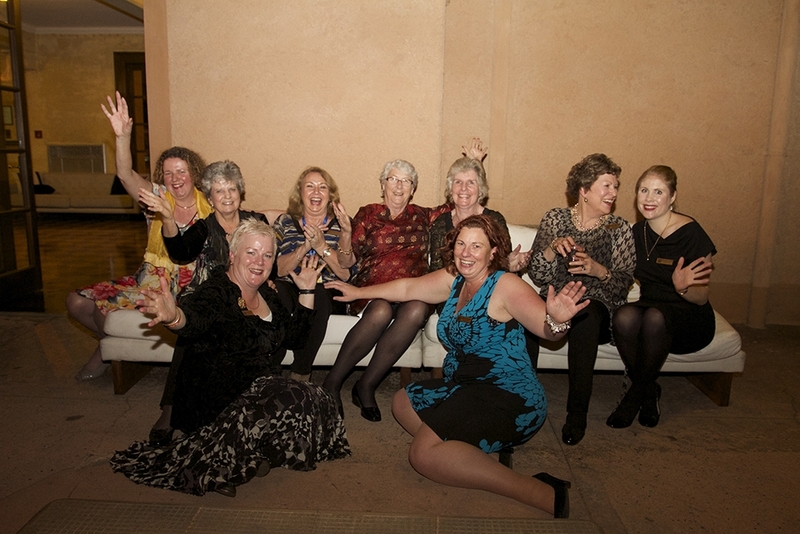 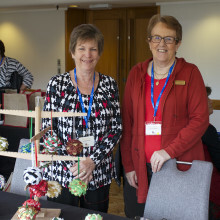 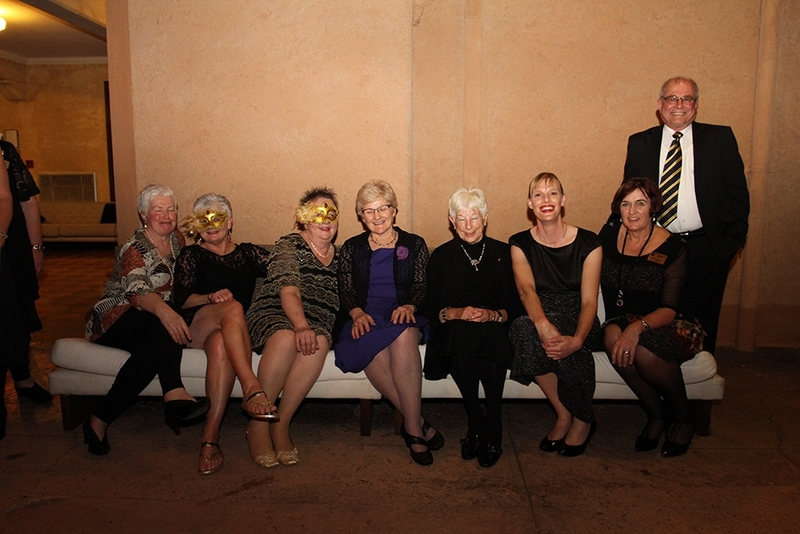 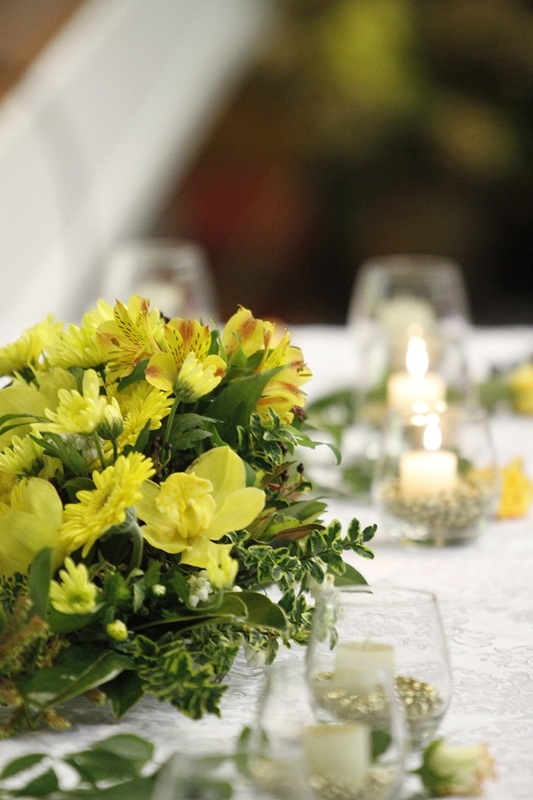 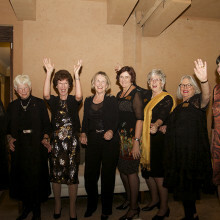 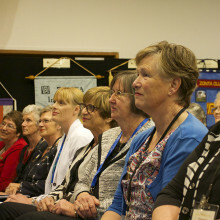 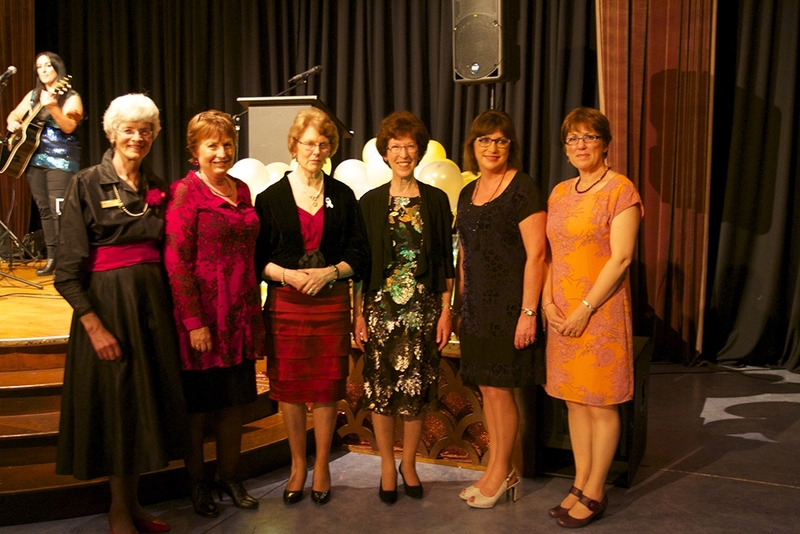 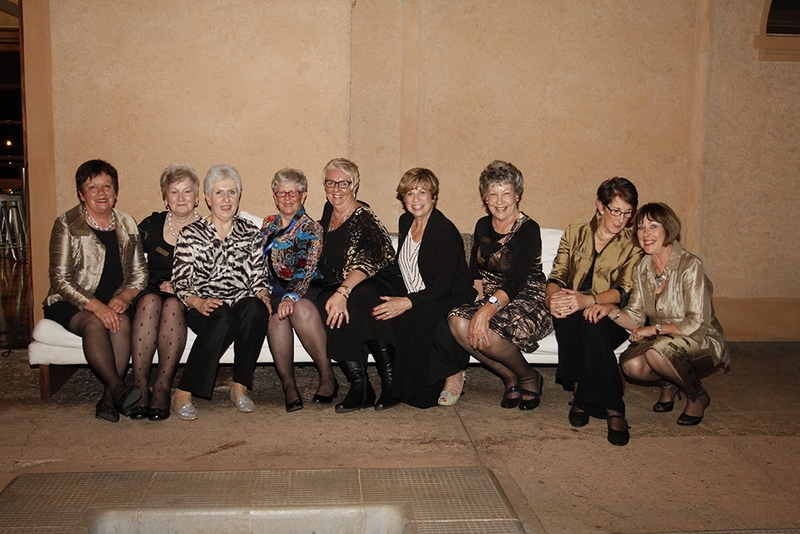 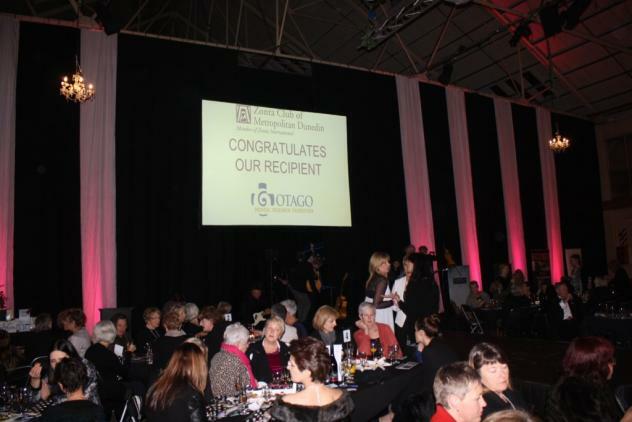 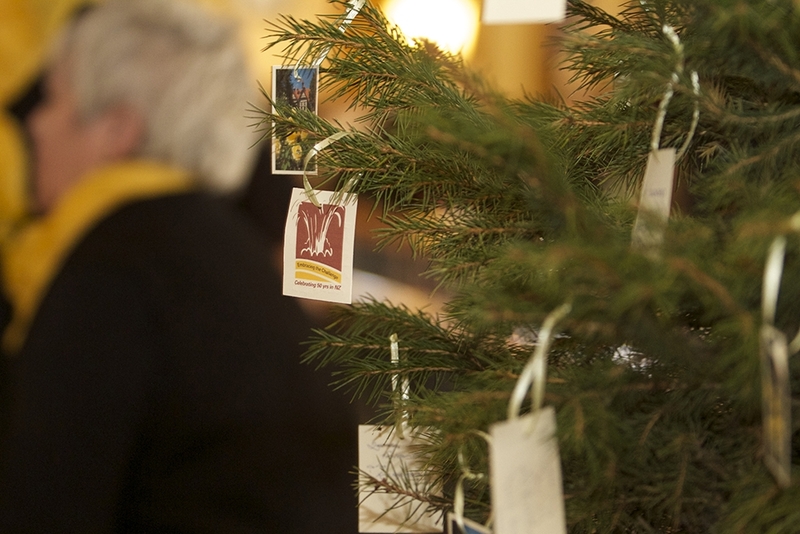 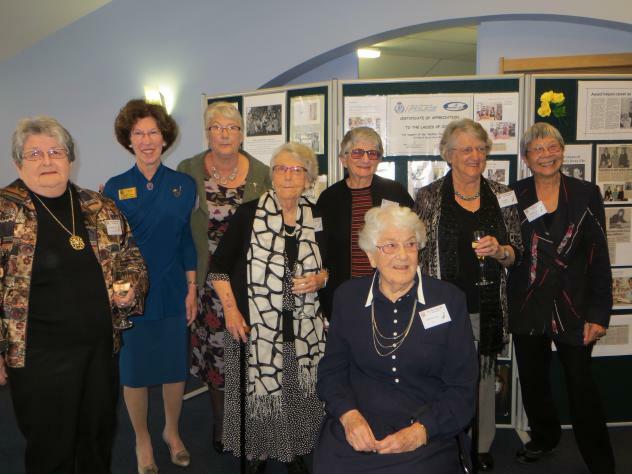 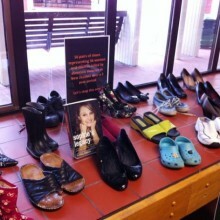 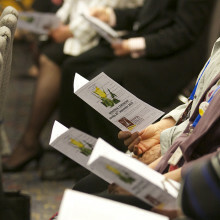 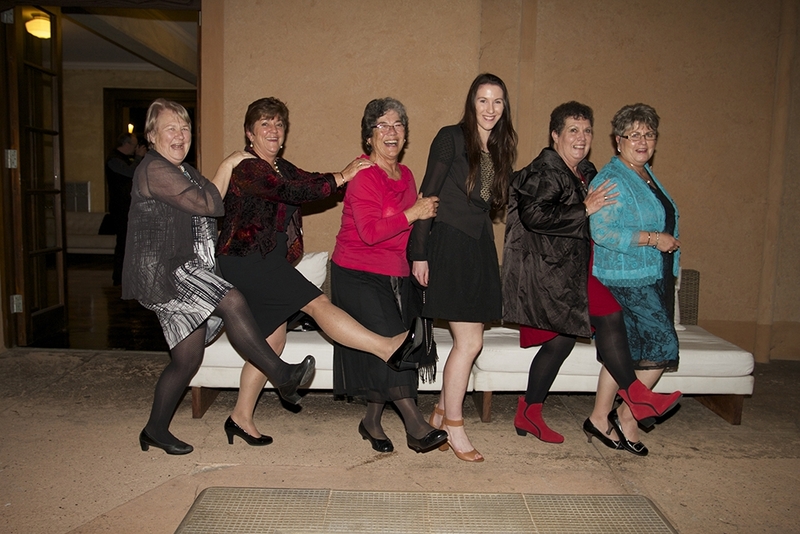 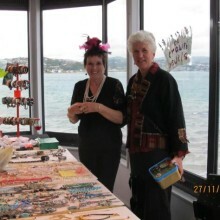 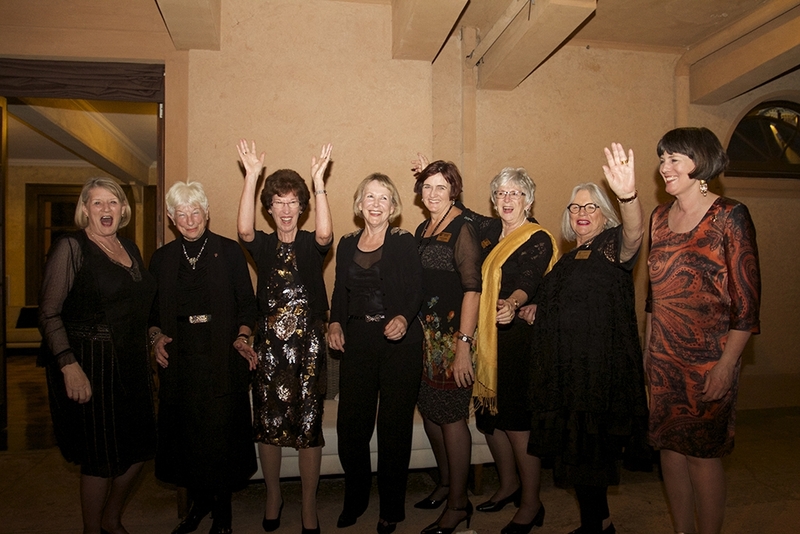 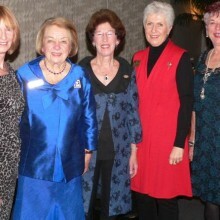 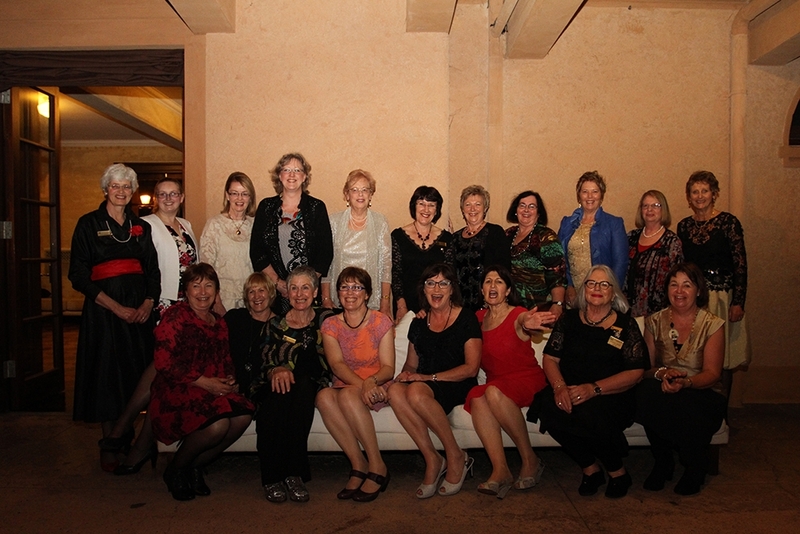 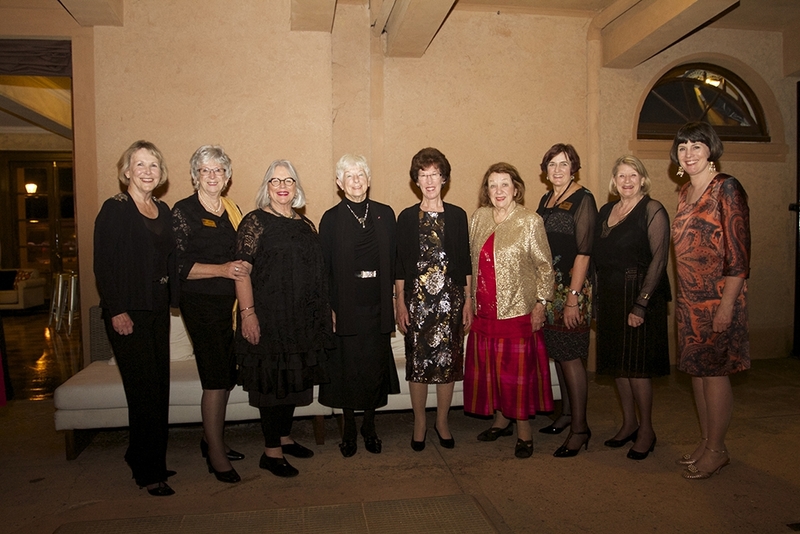 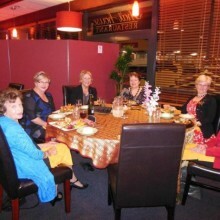 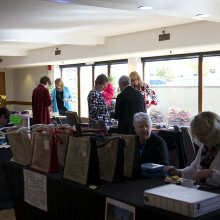 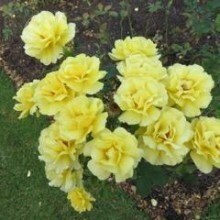 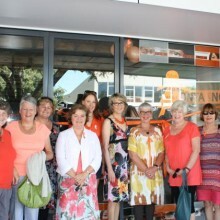 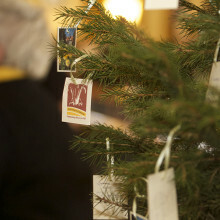 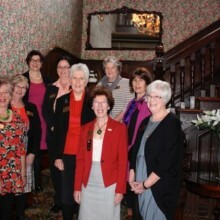 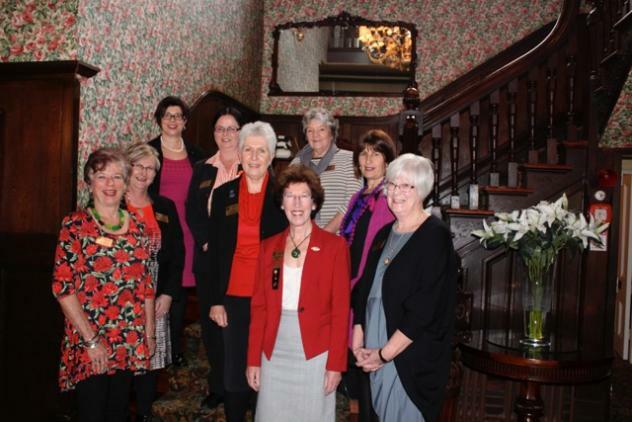 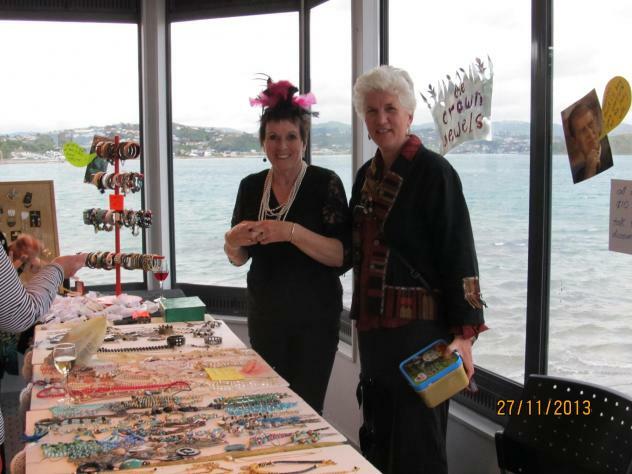 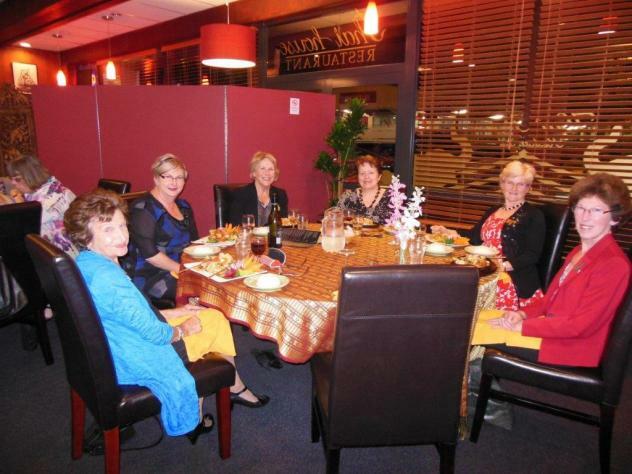 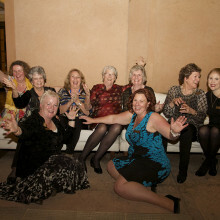 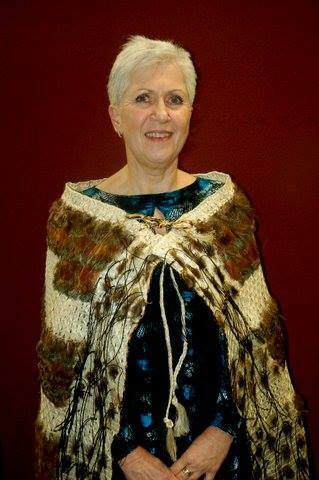 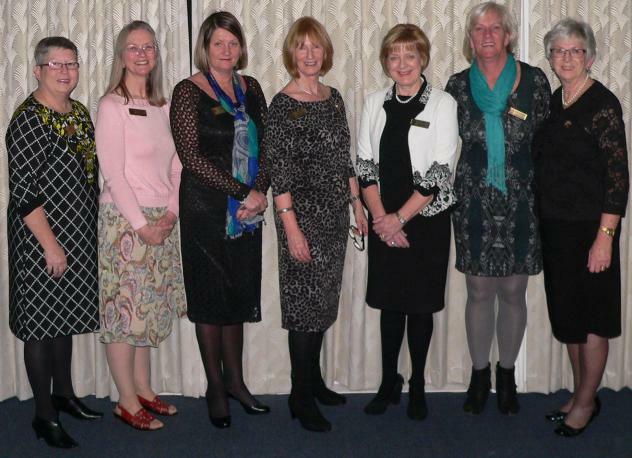 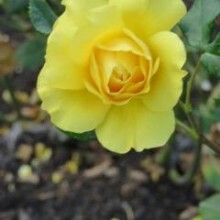 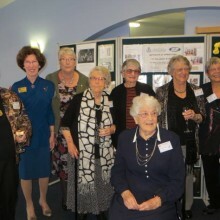 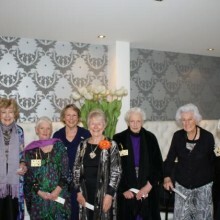 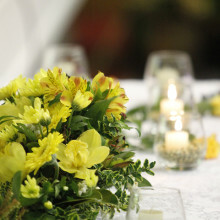 Previous members were invited and joined in the festivities in the Marlborough Women’s Club rooms. 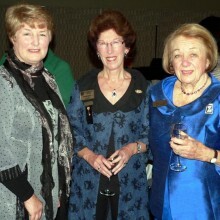 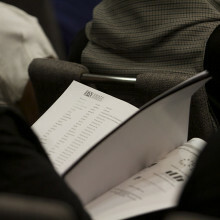 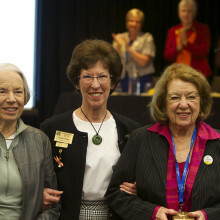 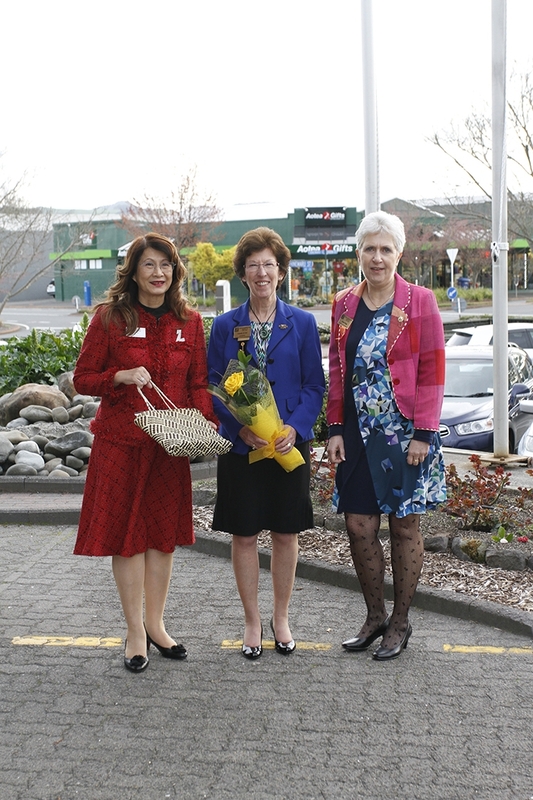 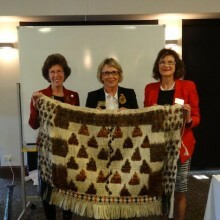 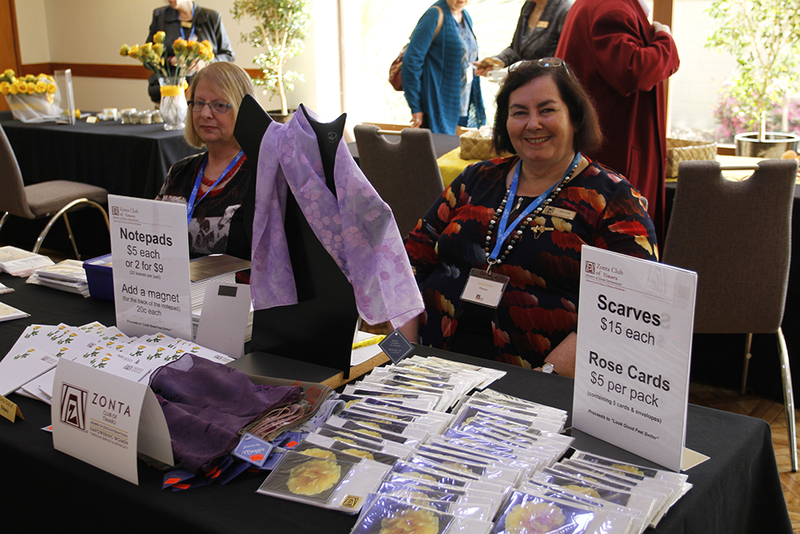 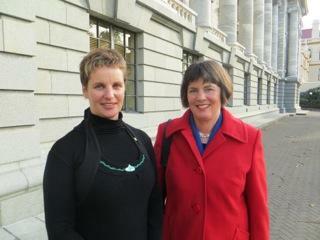 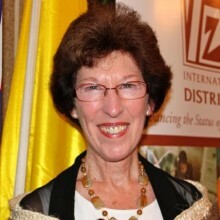 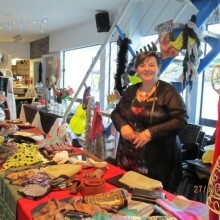 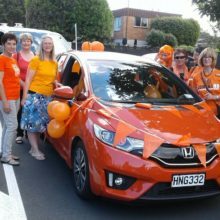 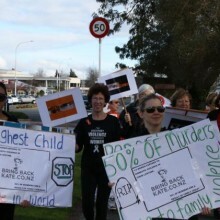 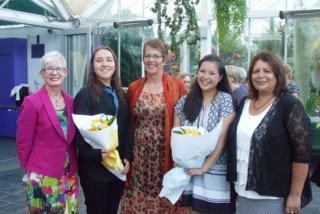 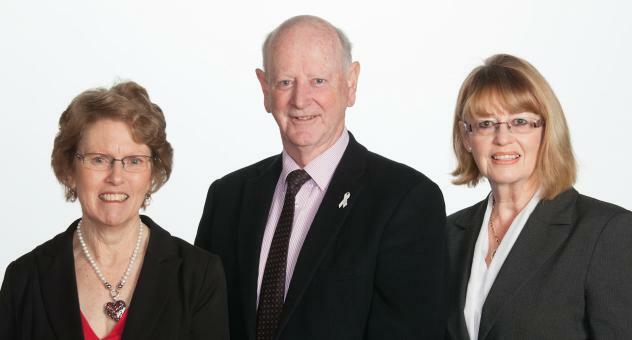 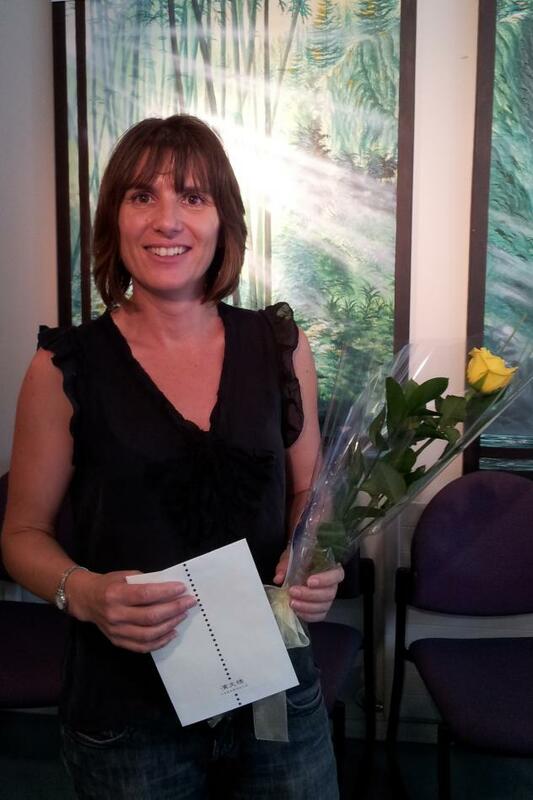 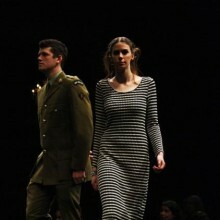 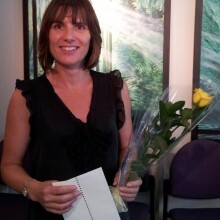 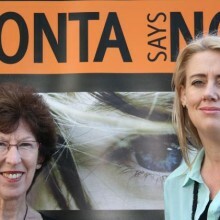 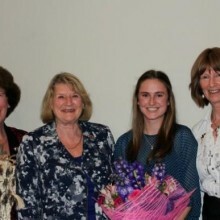 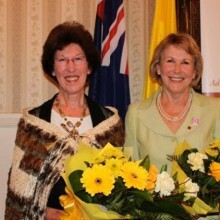 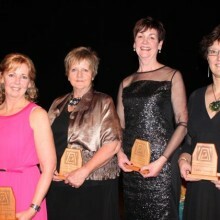 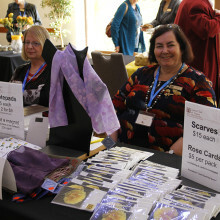 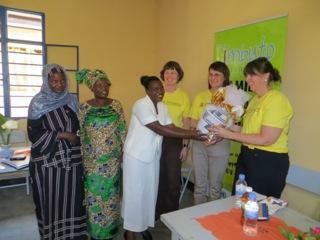 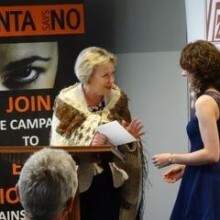 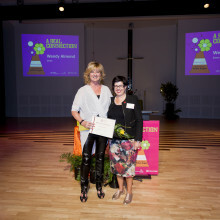 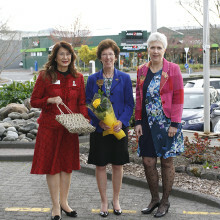 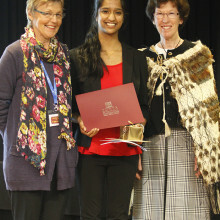 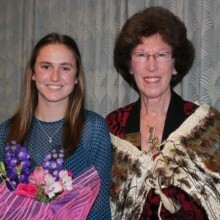 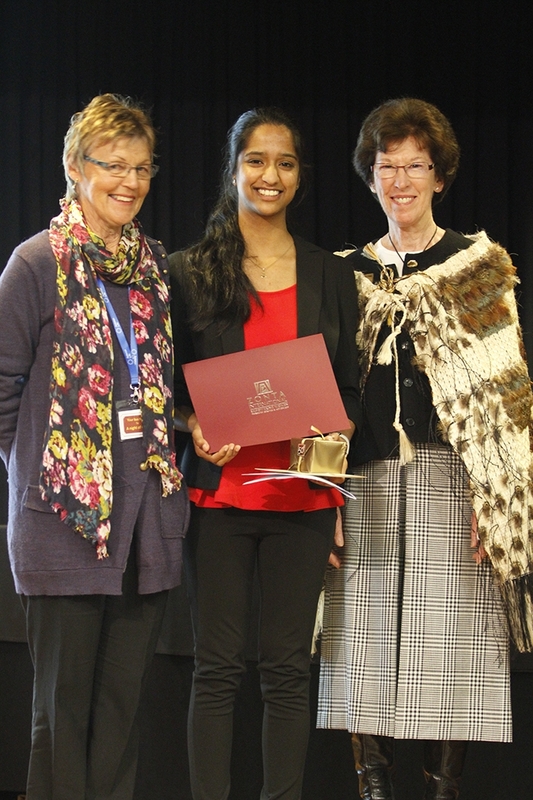 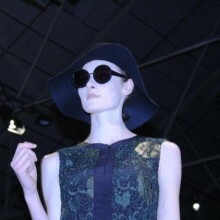 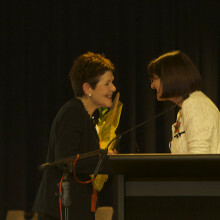 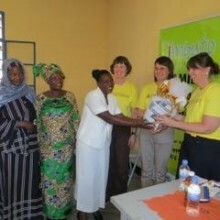 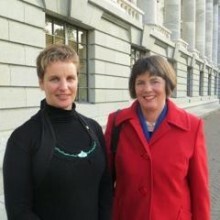 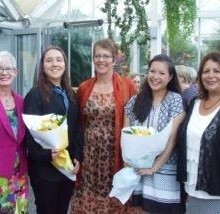 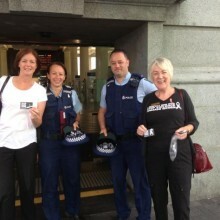 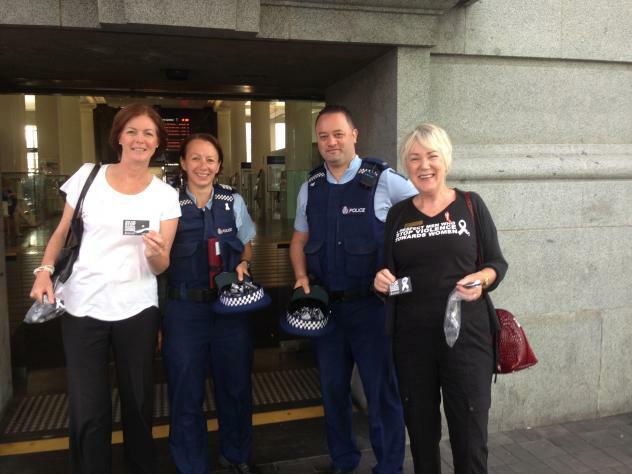 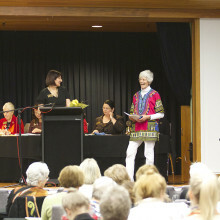 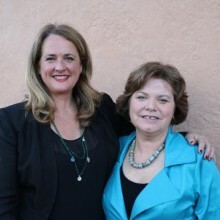 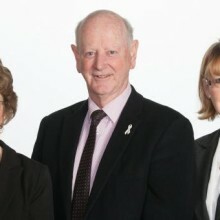 Also present was Deputy Mayor Jenny Andrews (2nd from rt). 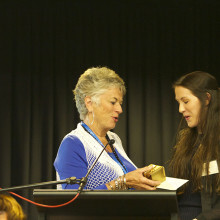 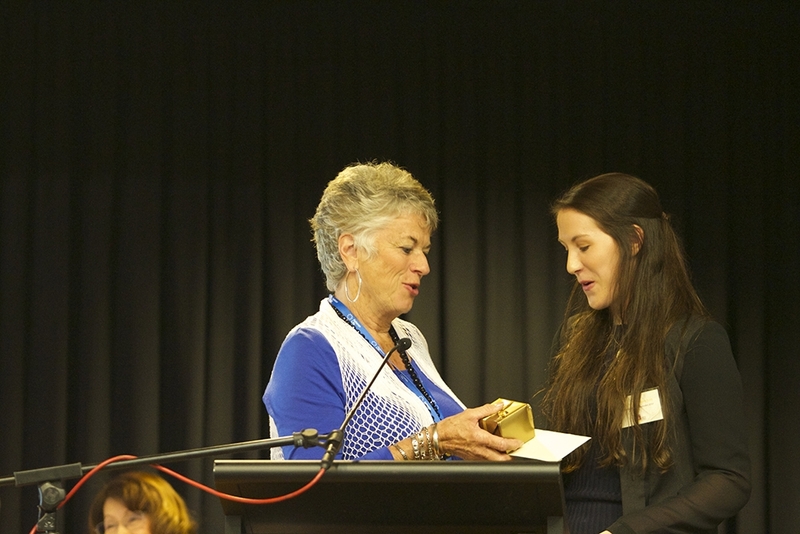 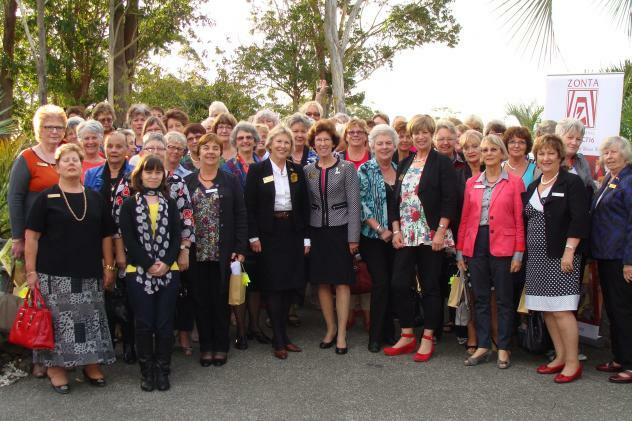 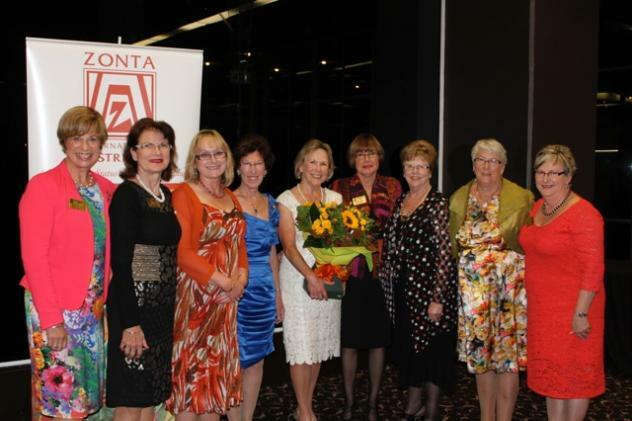 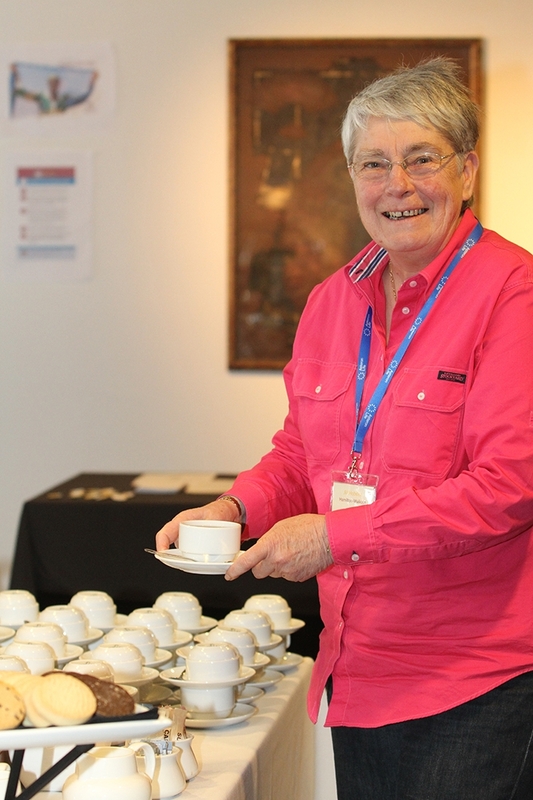 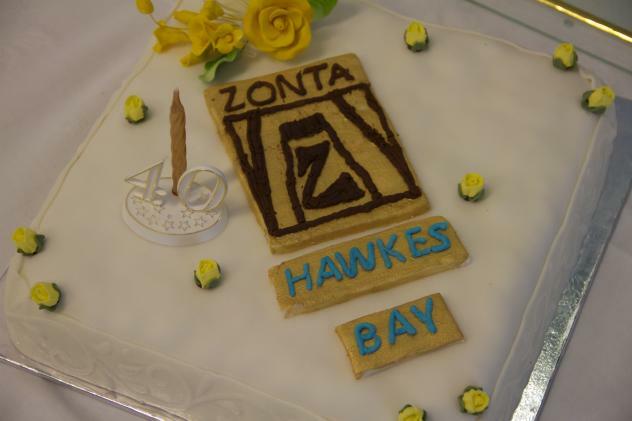 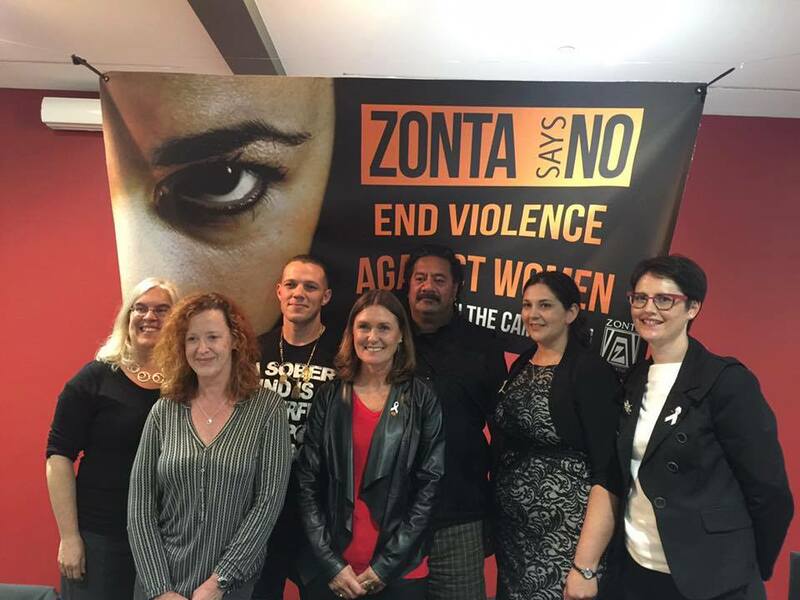 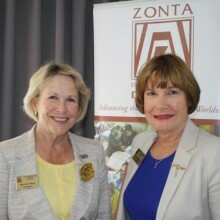 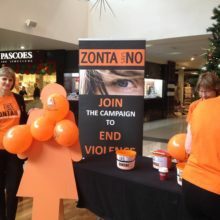 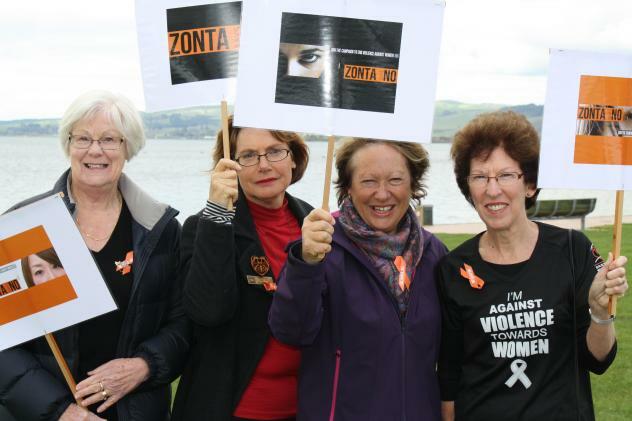 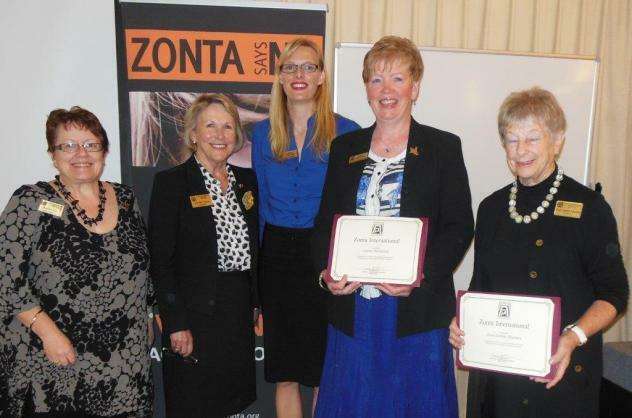 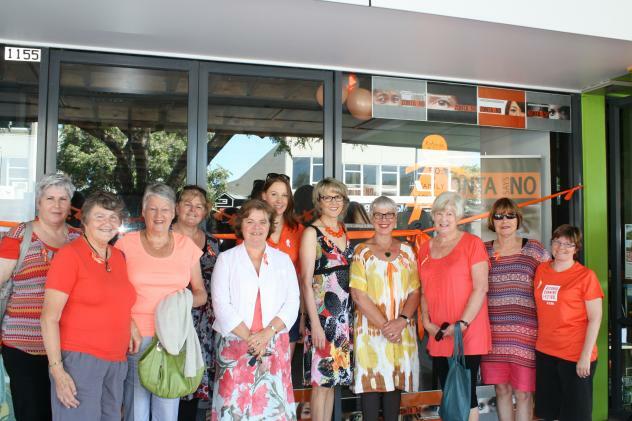 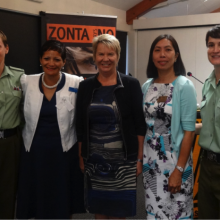 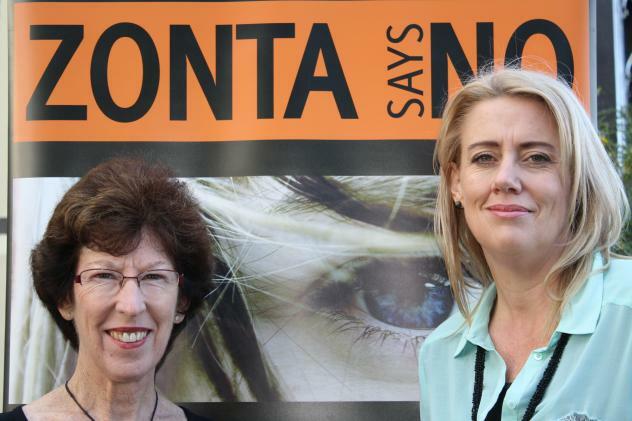 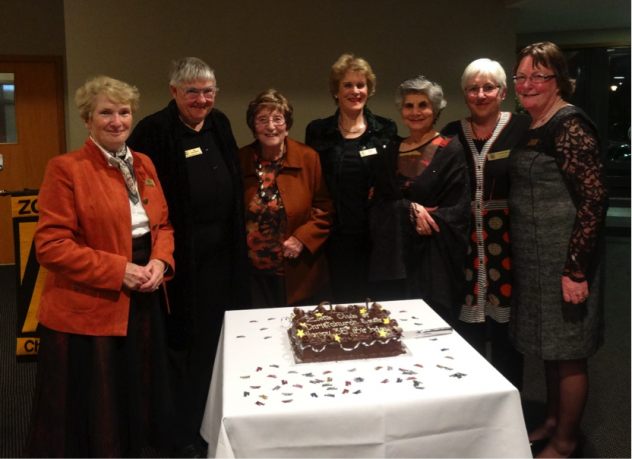 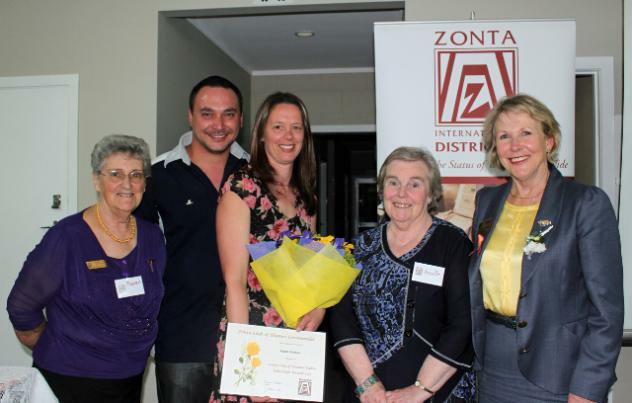 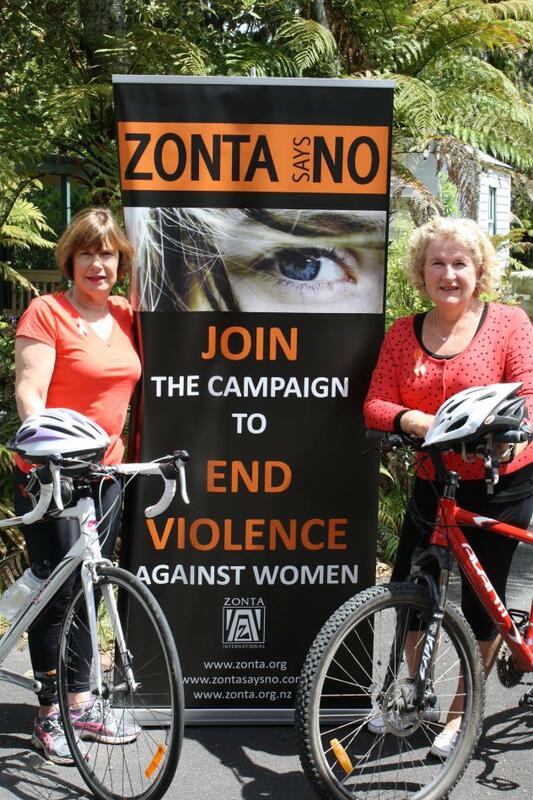 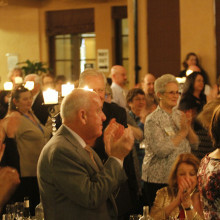 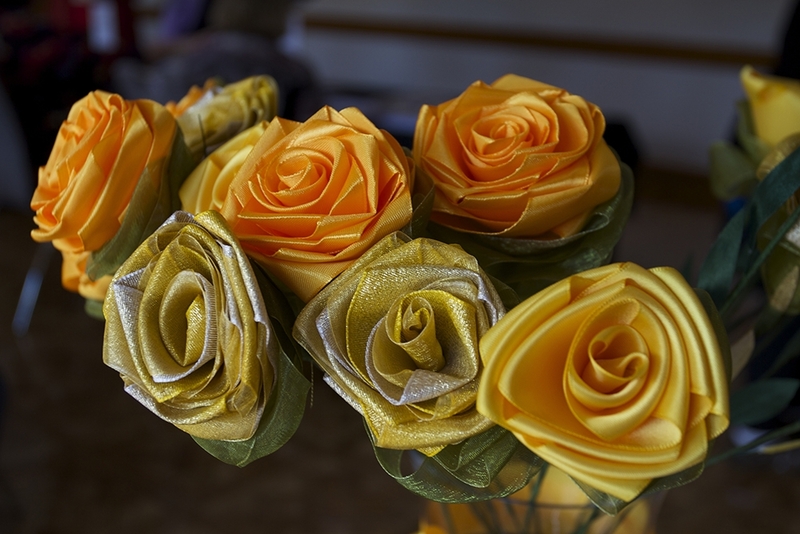 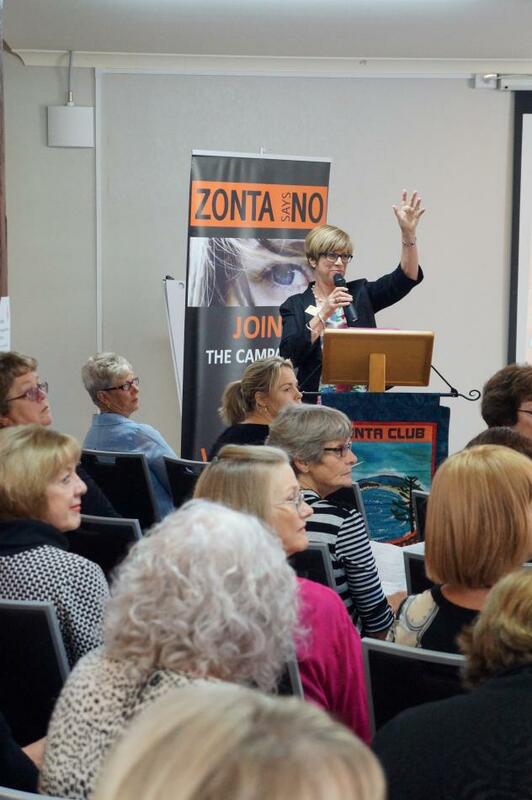 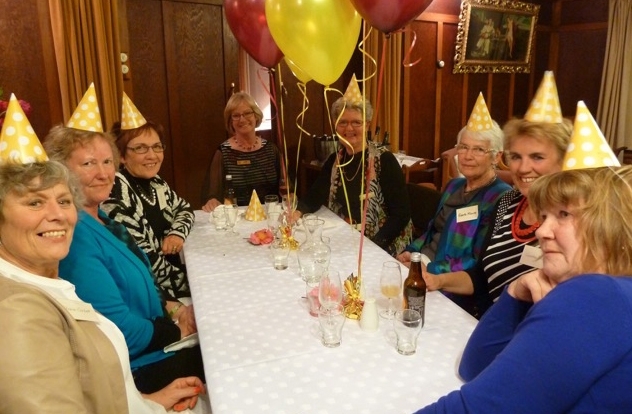 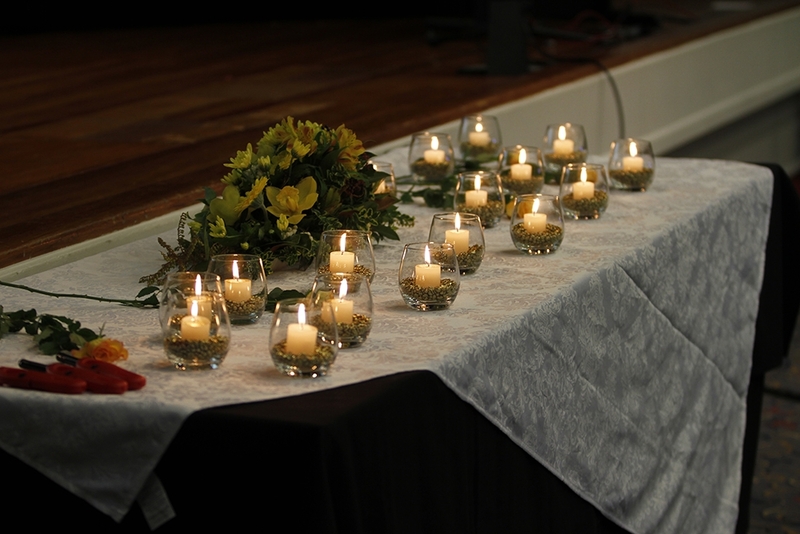 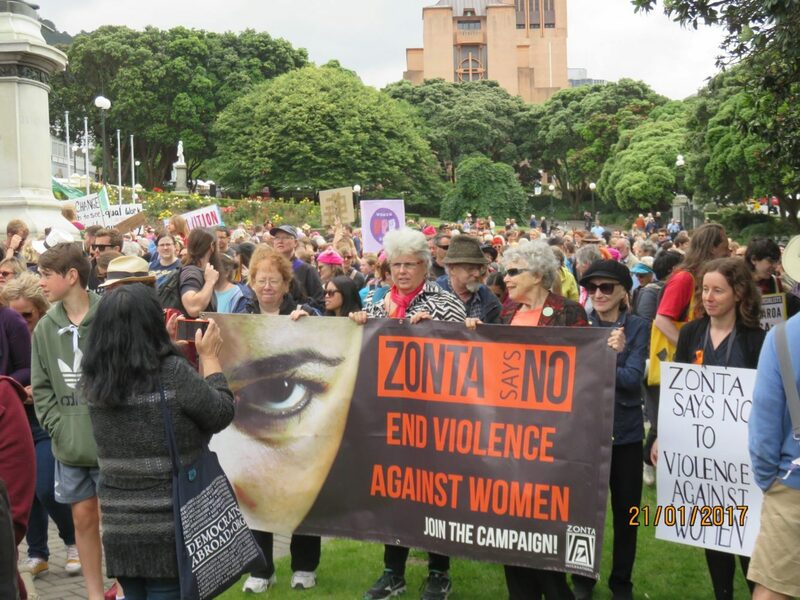 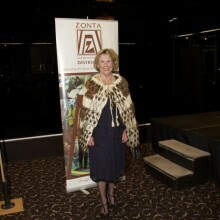 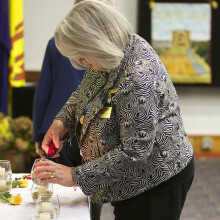 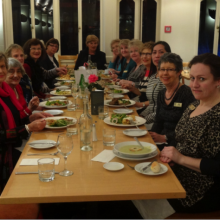 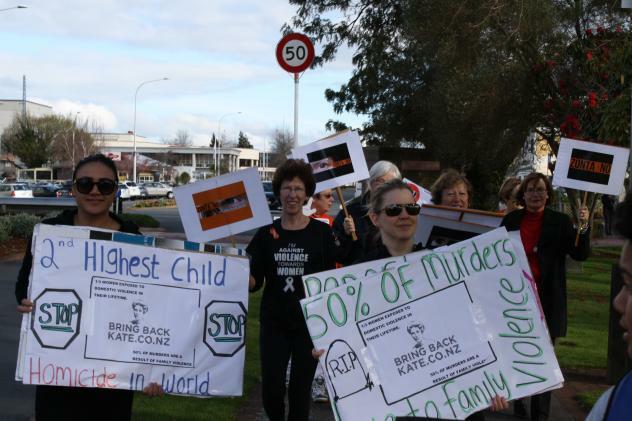 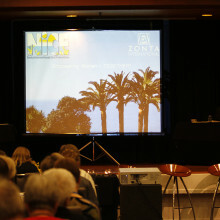 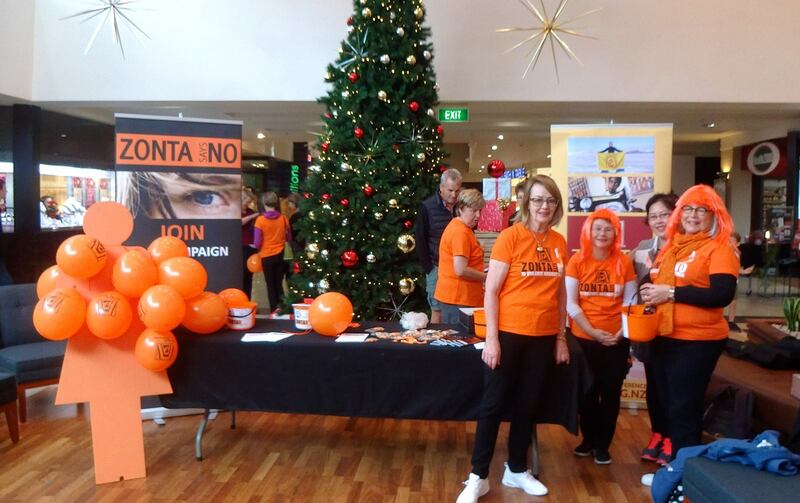 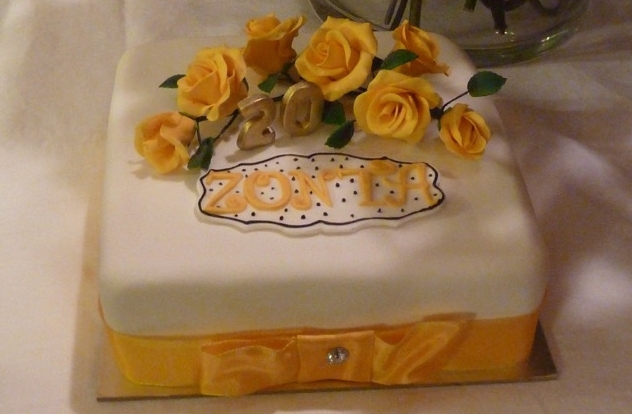 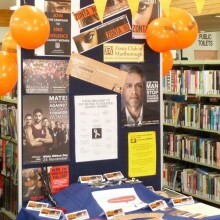 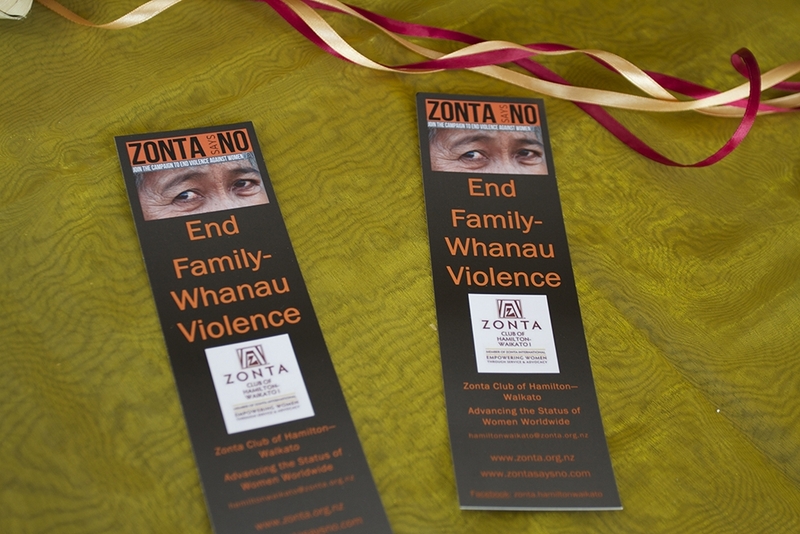 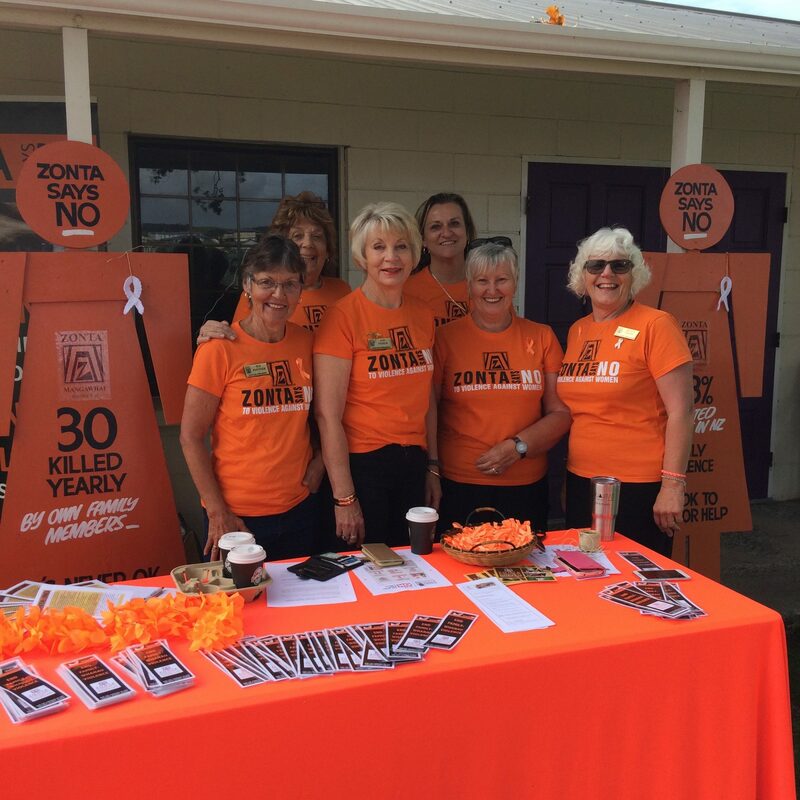 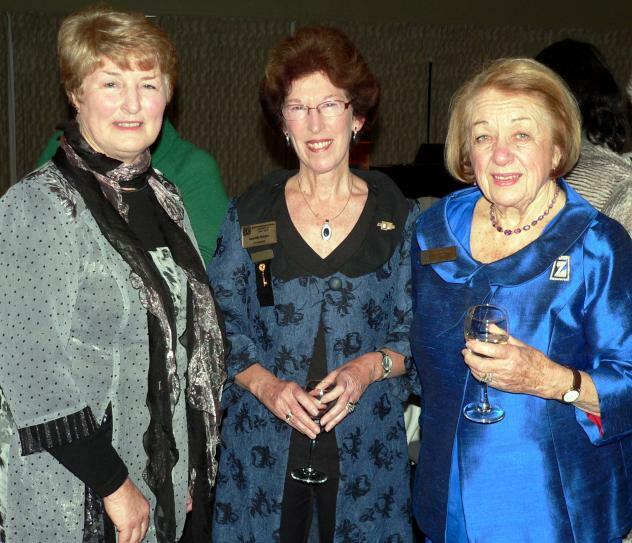 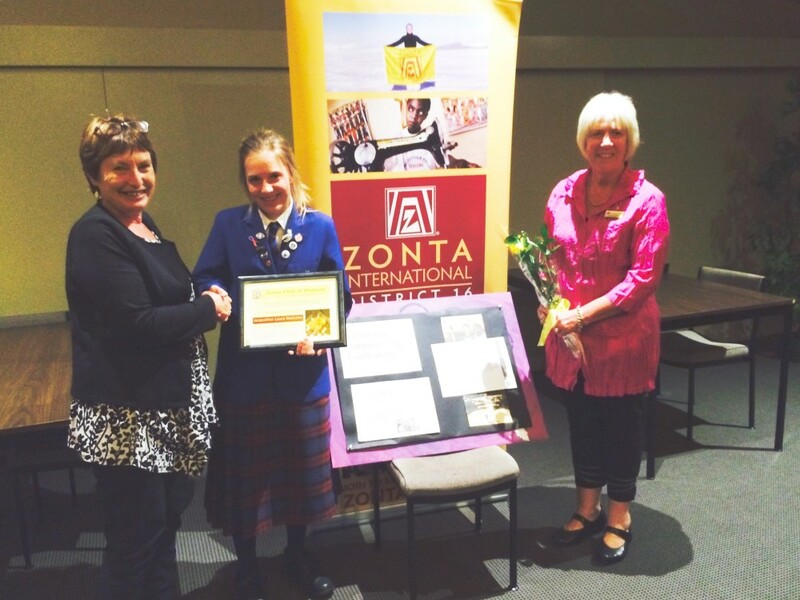 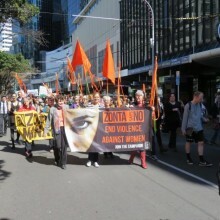 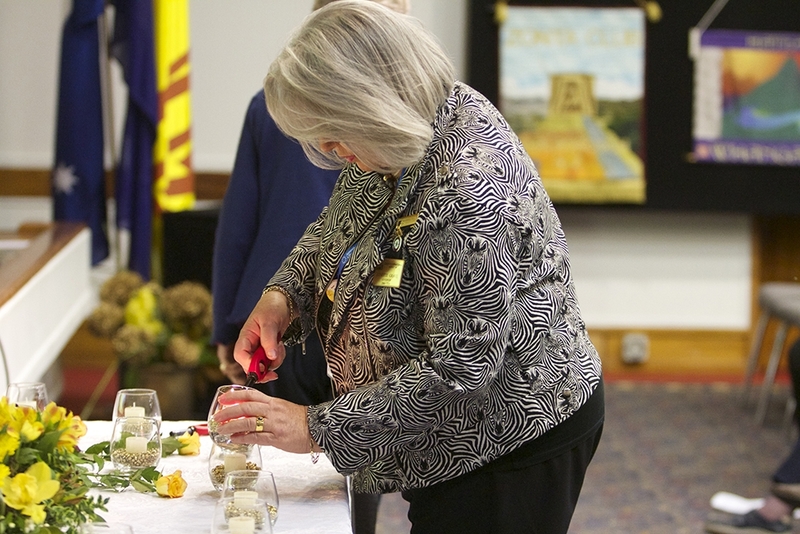 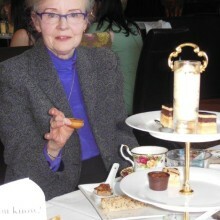 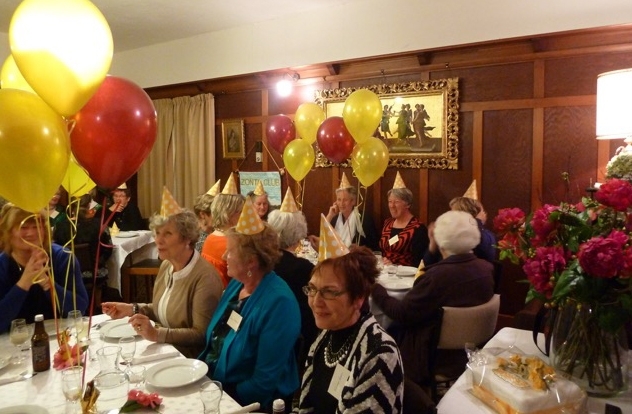 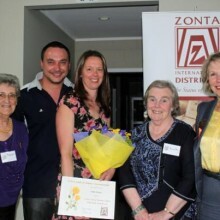 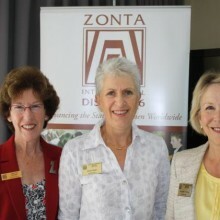 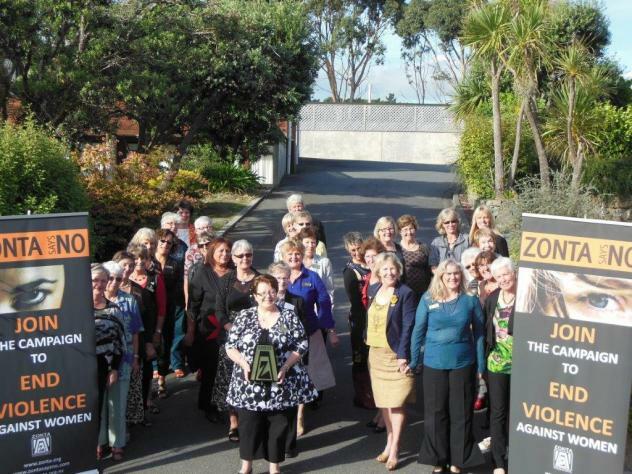 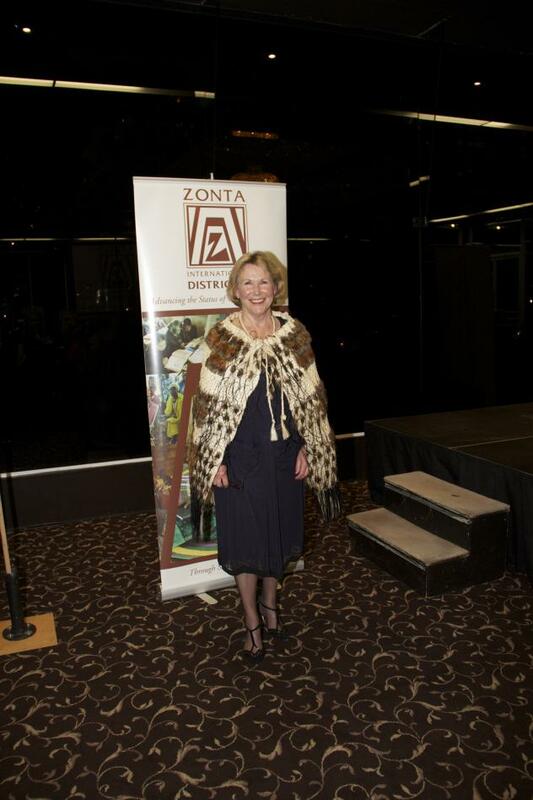 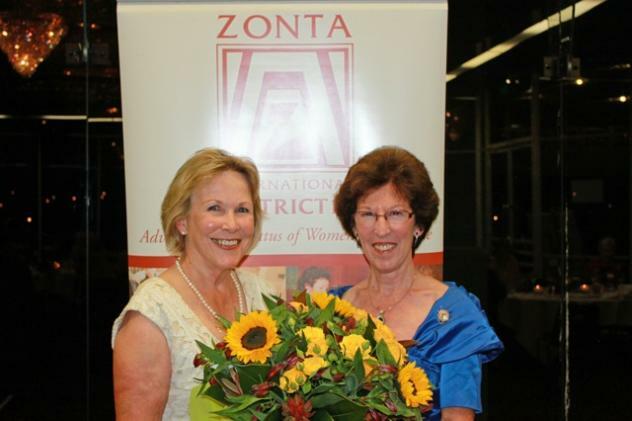 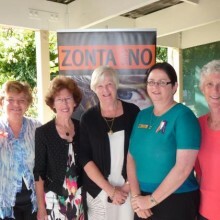 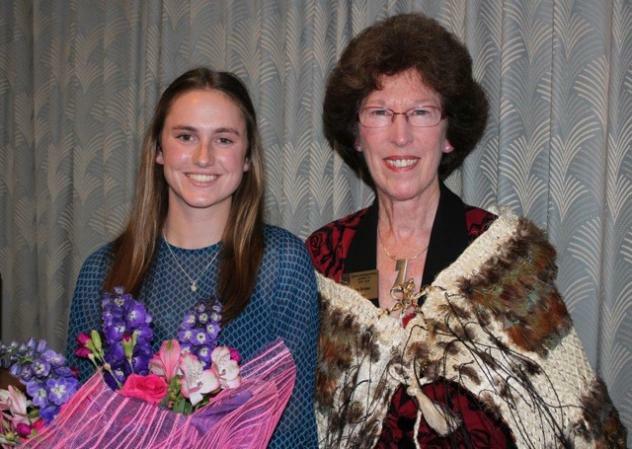 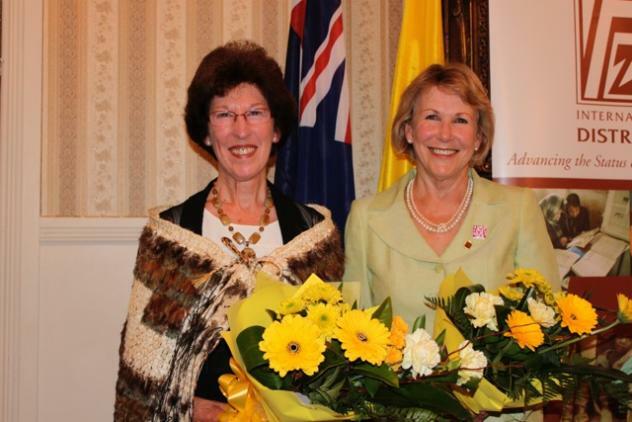 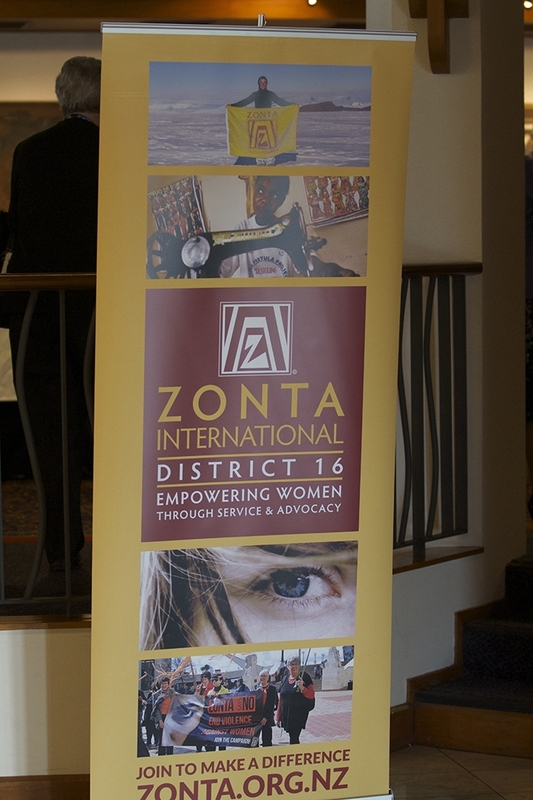 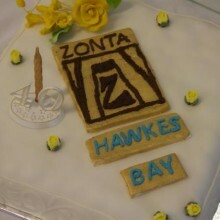 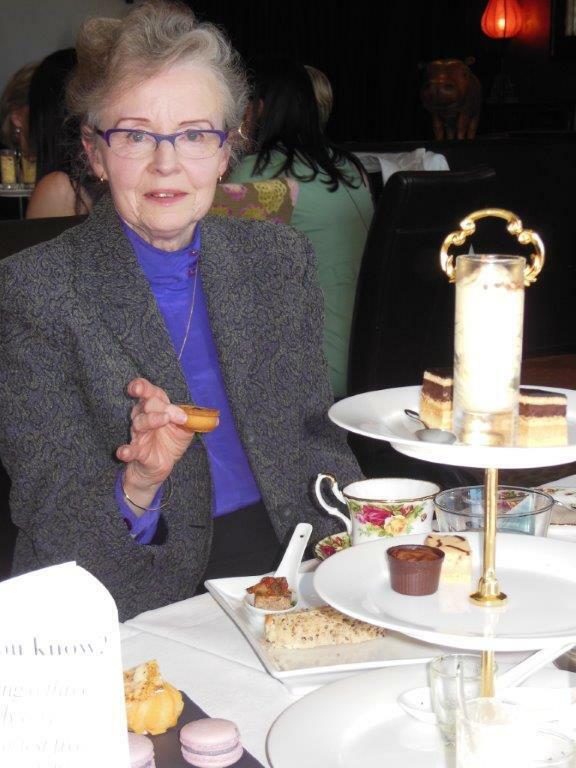 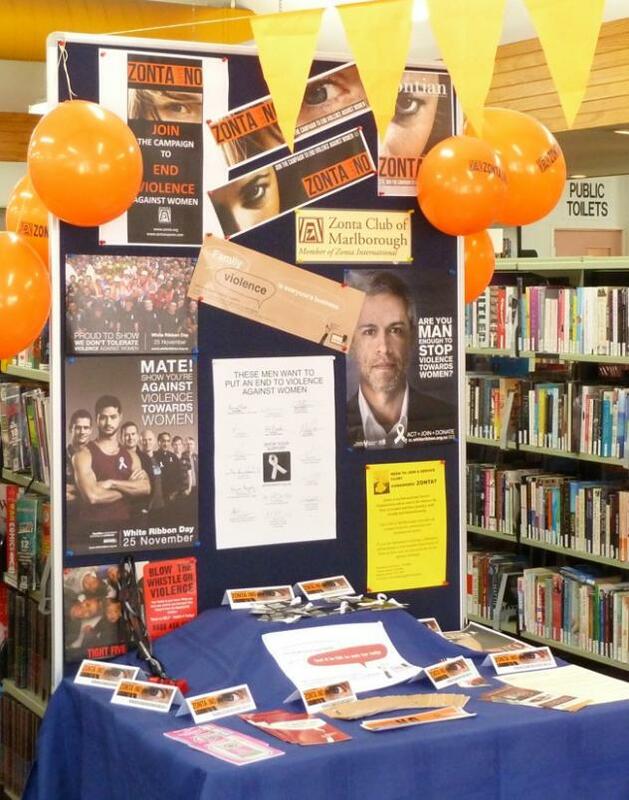 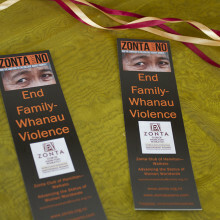 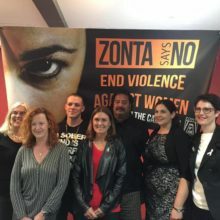 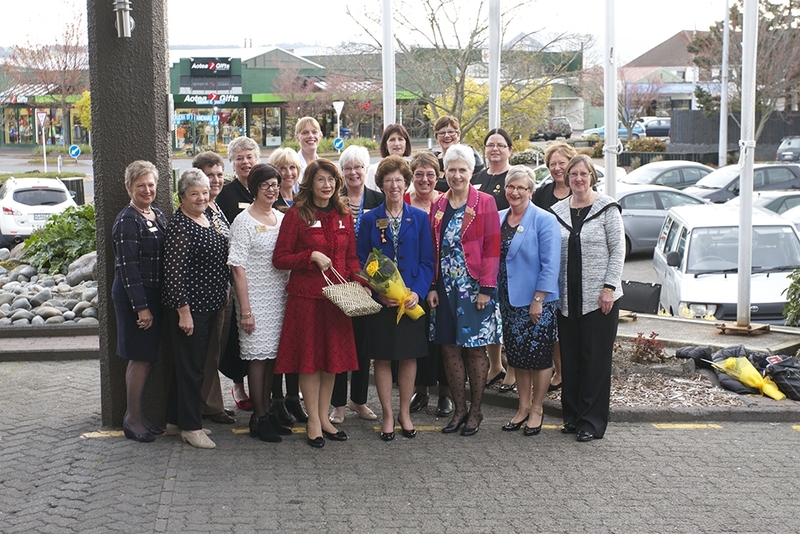 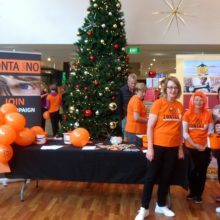 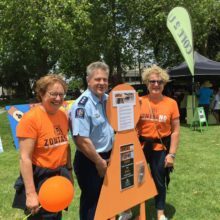 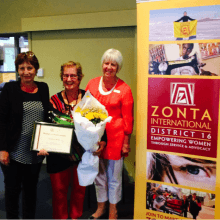 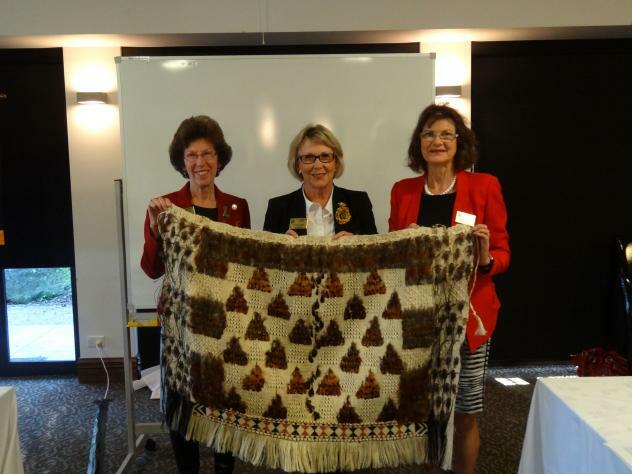 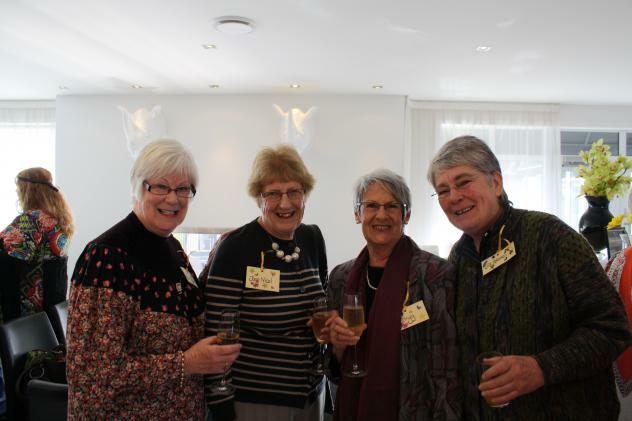 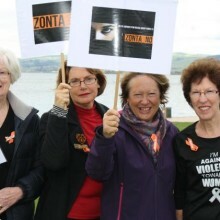 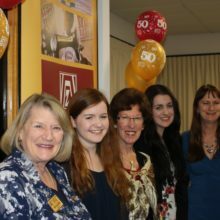 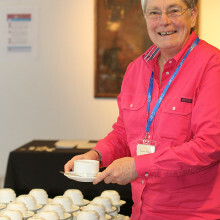 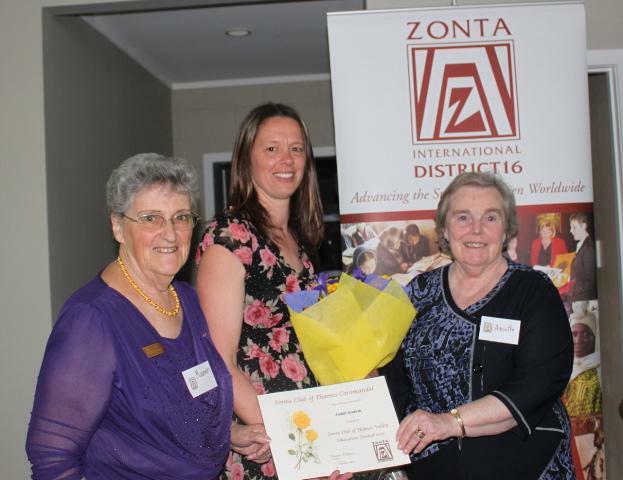 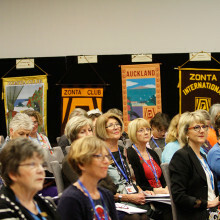 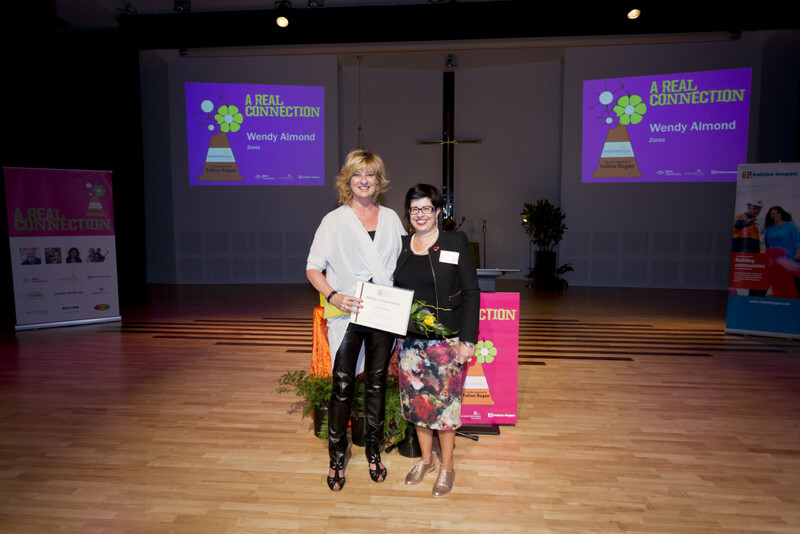 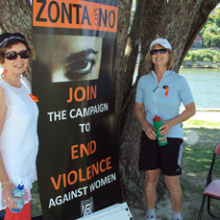 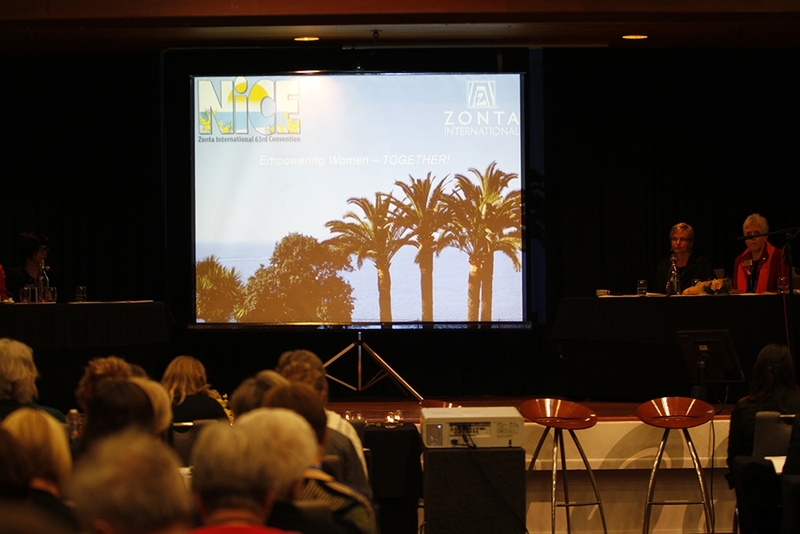 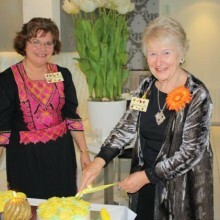 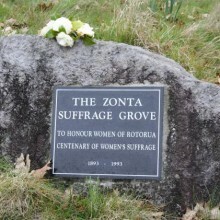 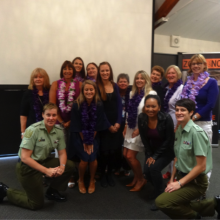 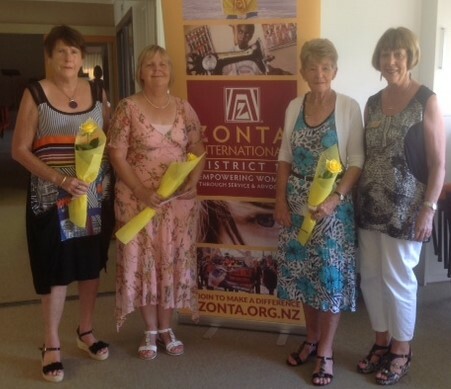 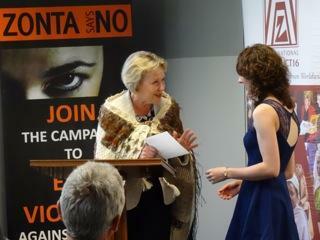 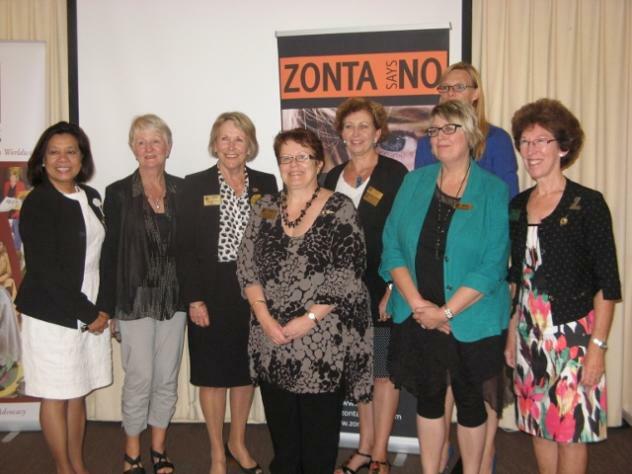 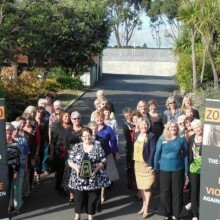 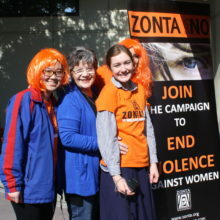 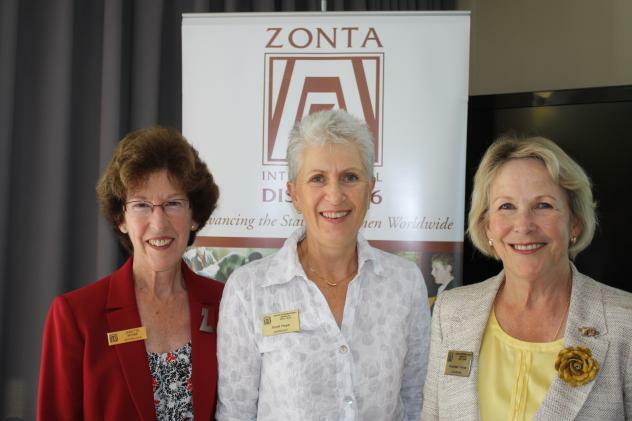 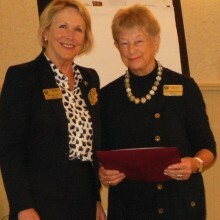 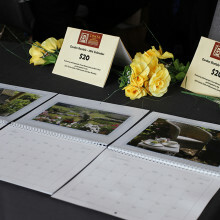 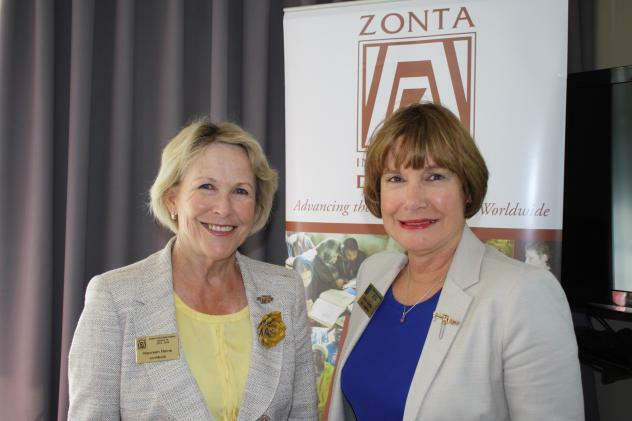 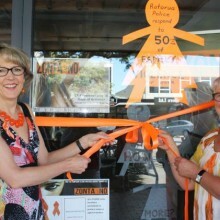 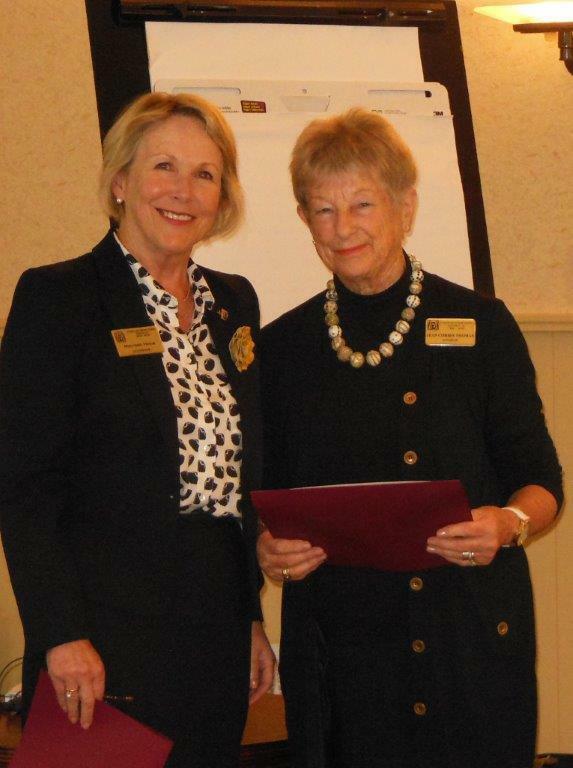 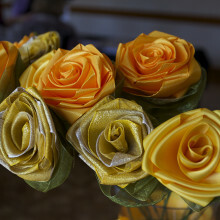 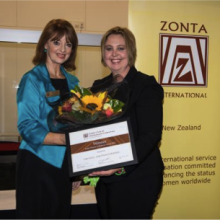 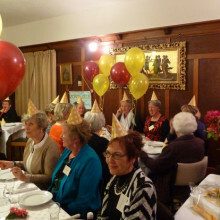 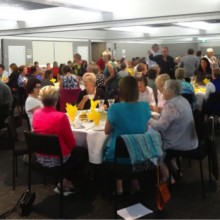 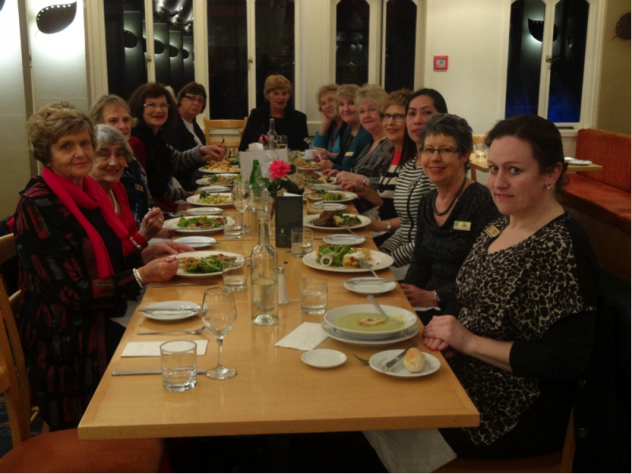 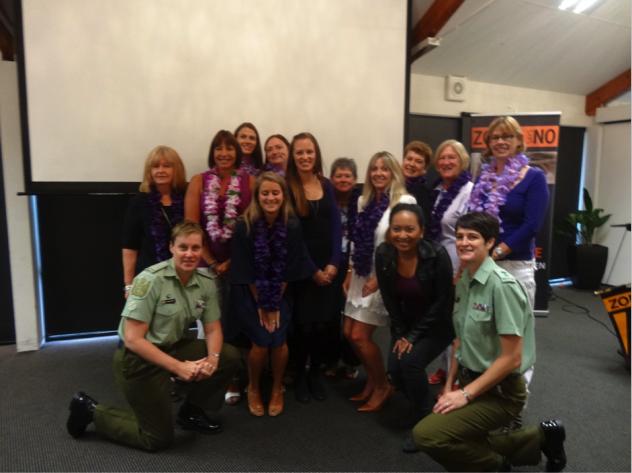 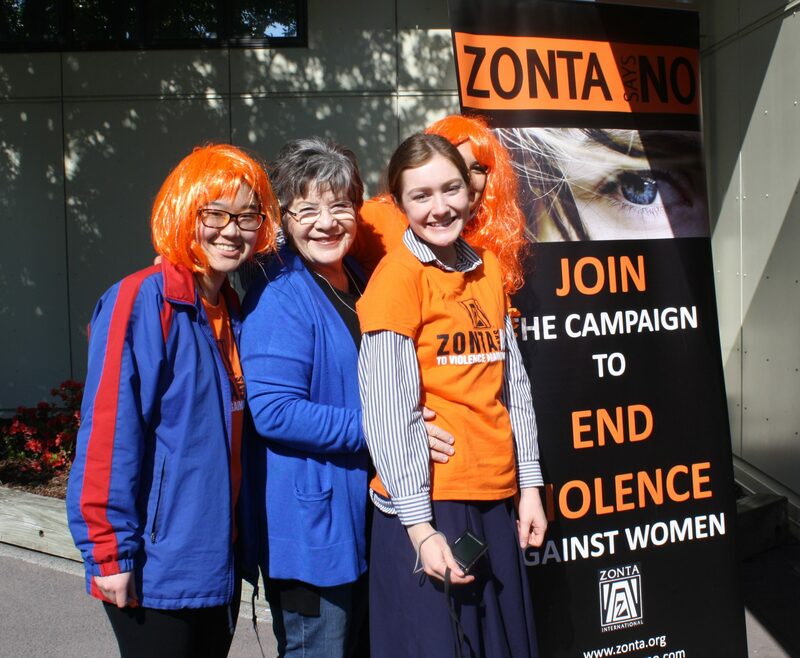 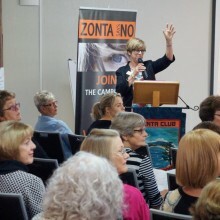 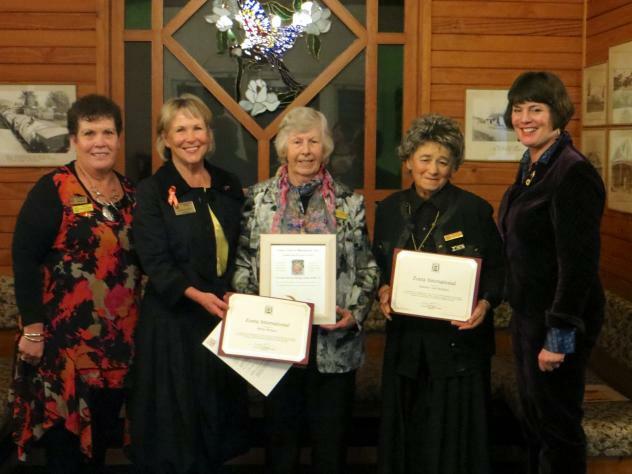 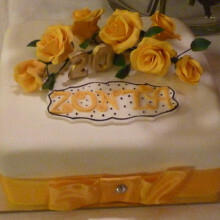 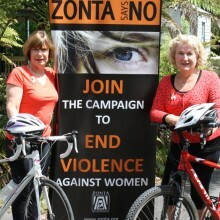 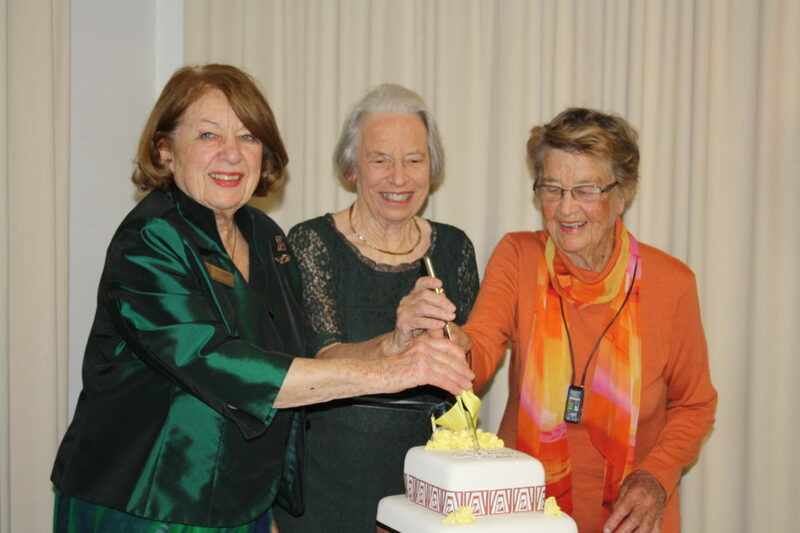 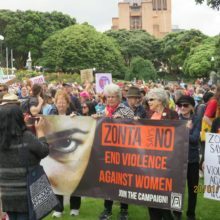 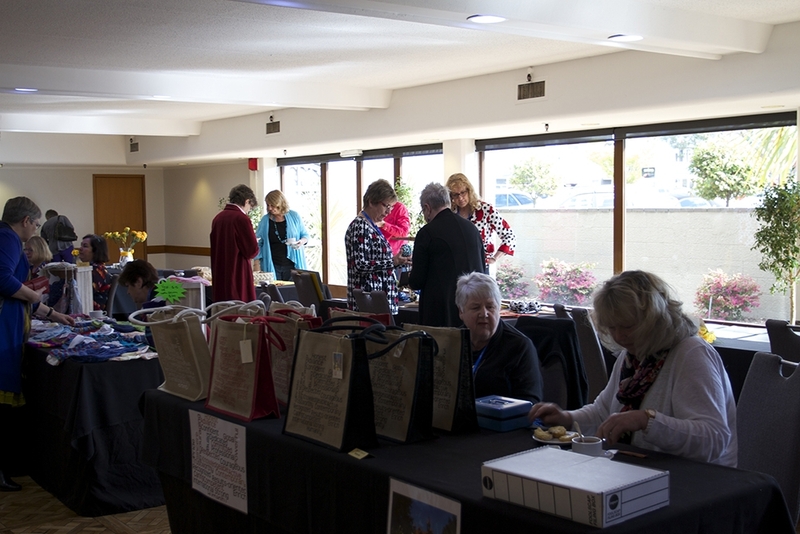 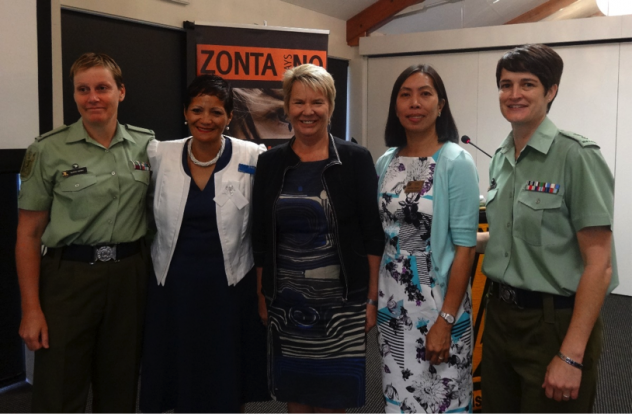 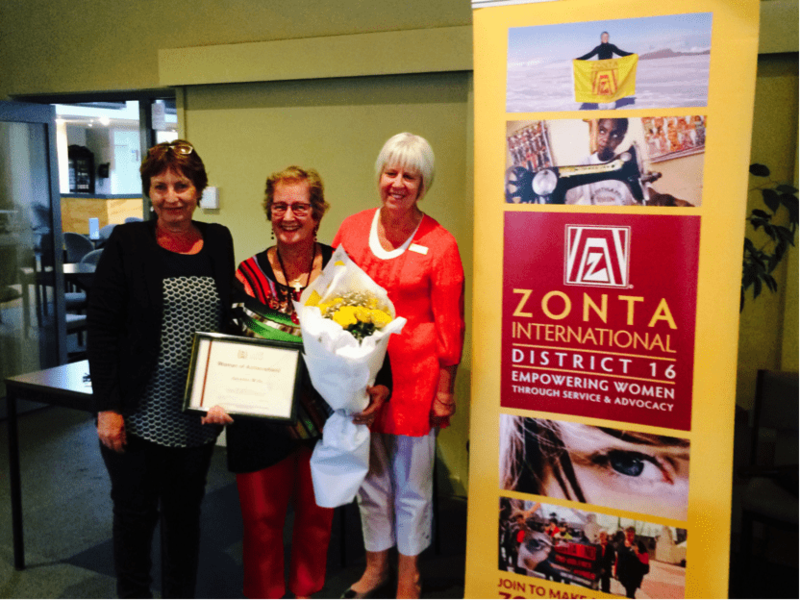 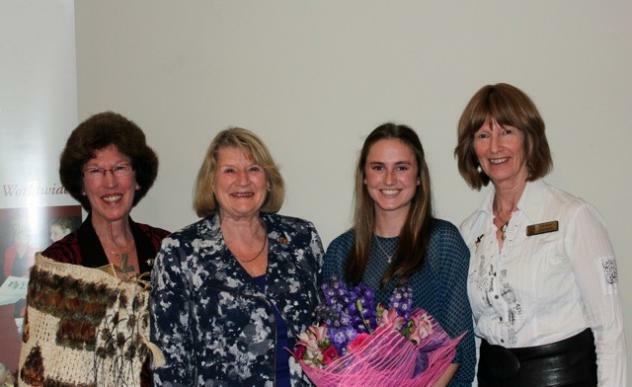 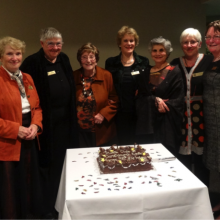 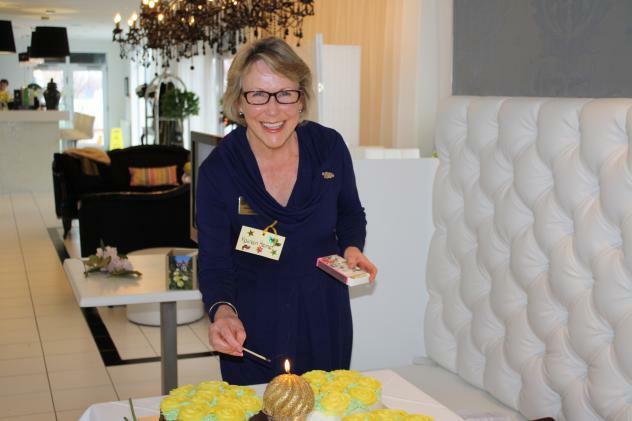 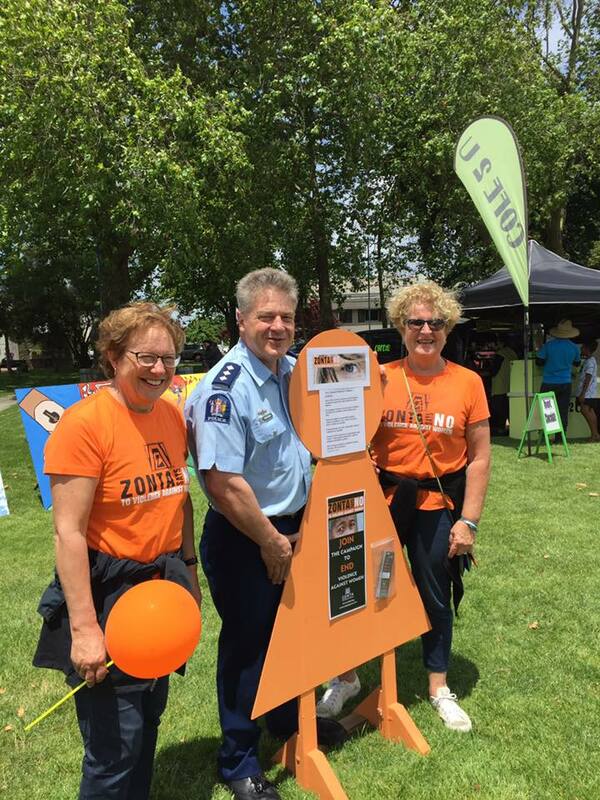 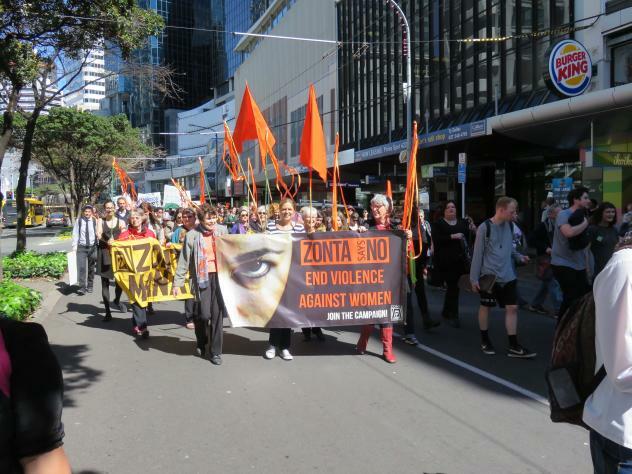 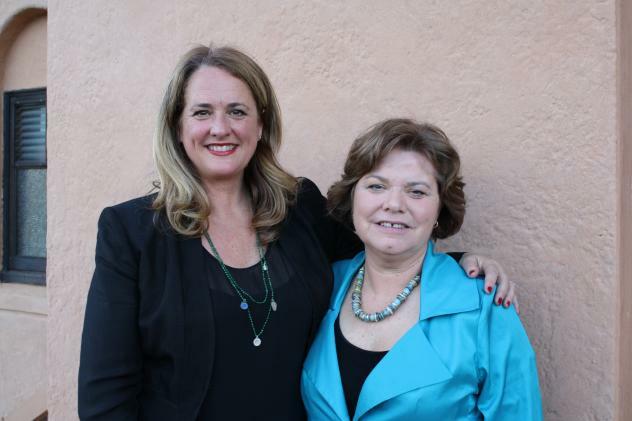 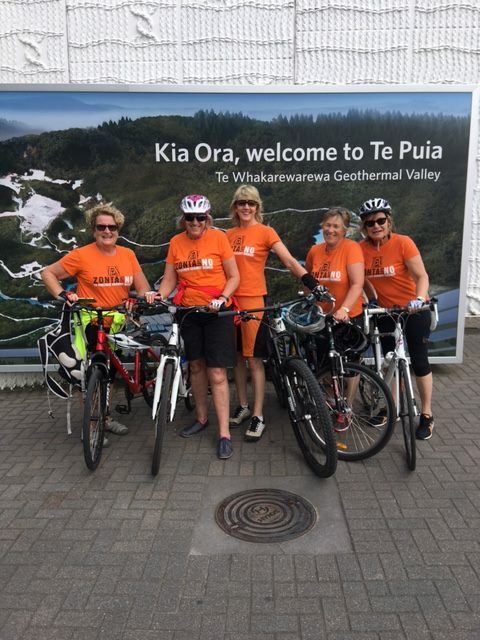 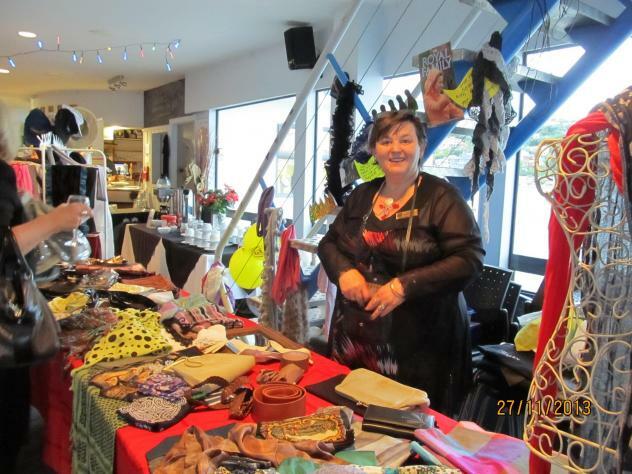 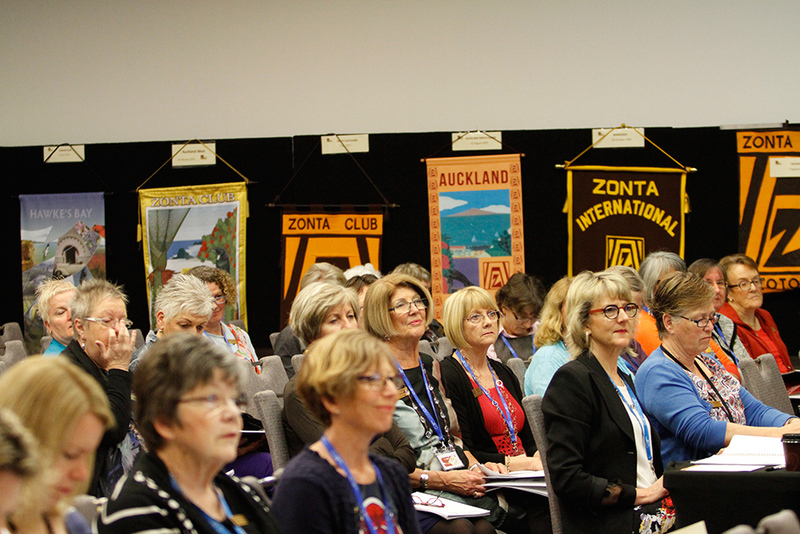 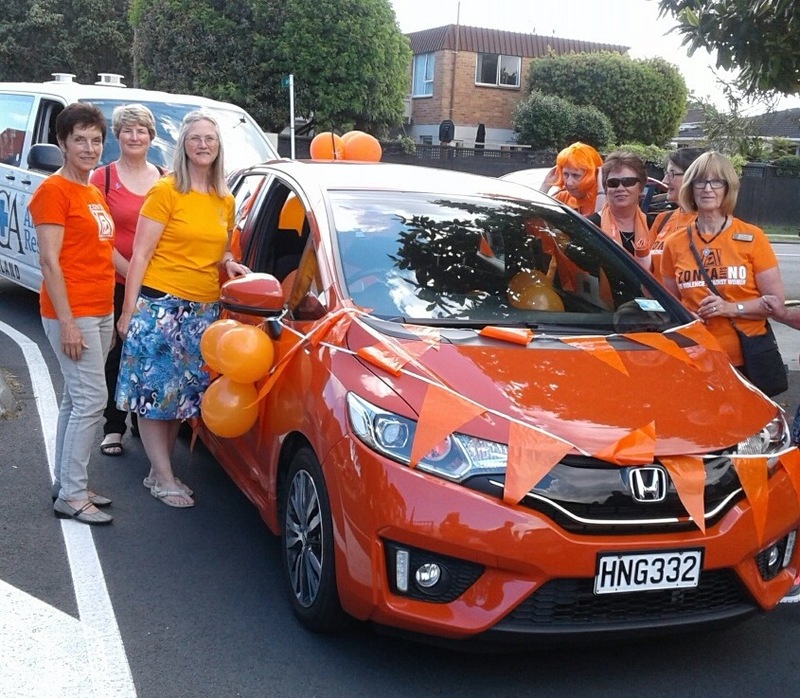 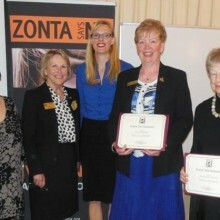 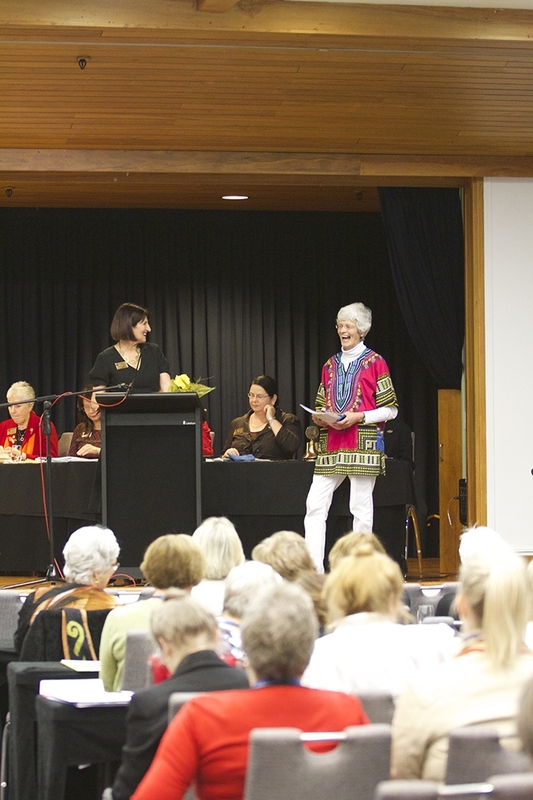 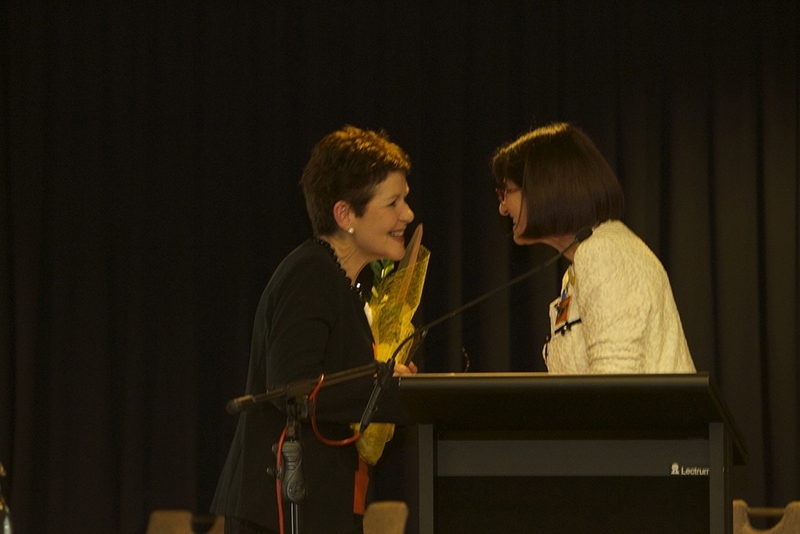 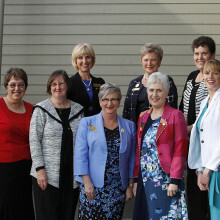 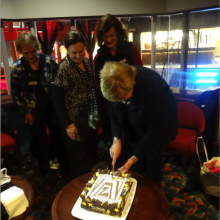 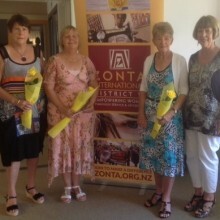 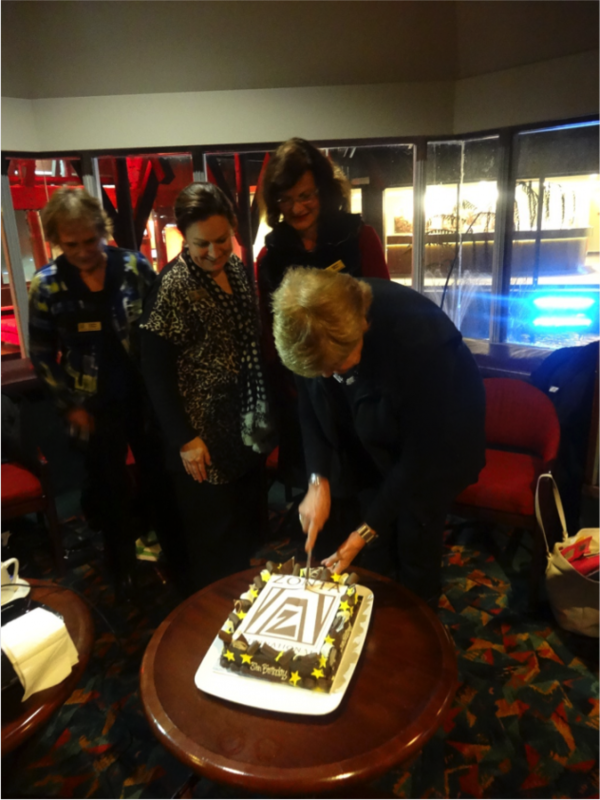 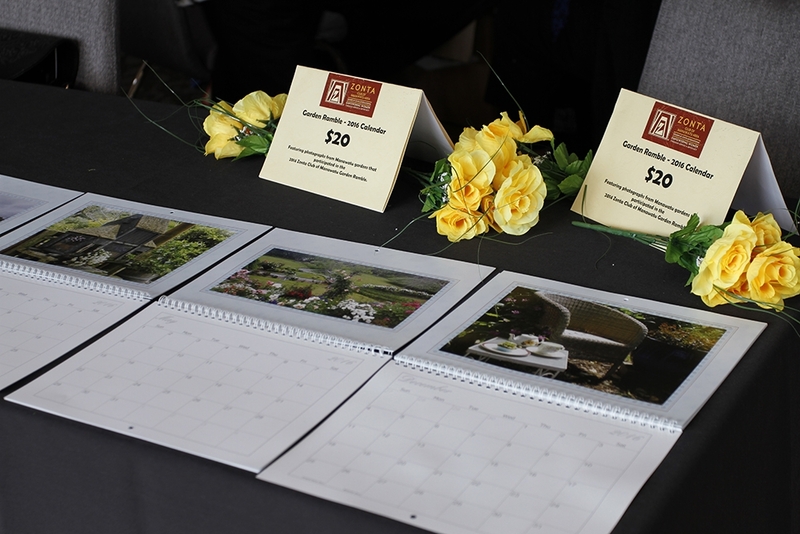 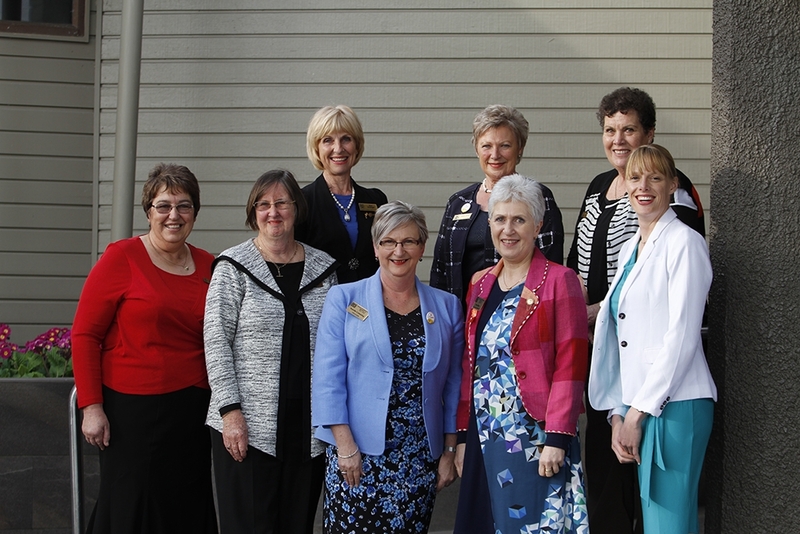 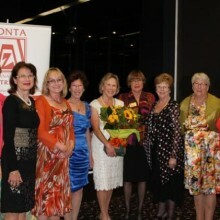 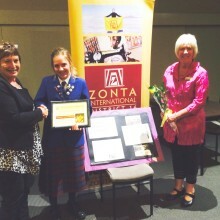 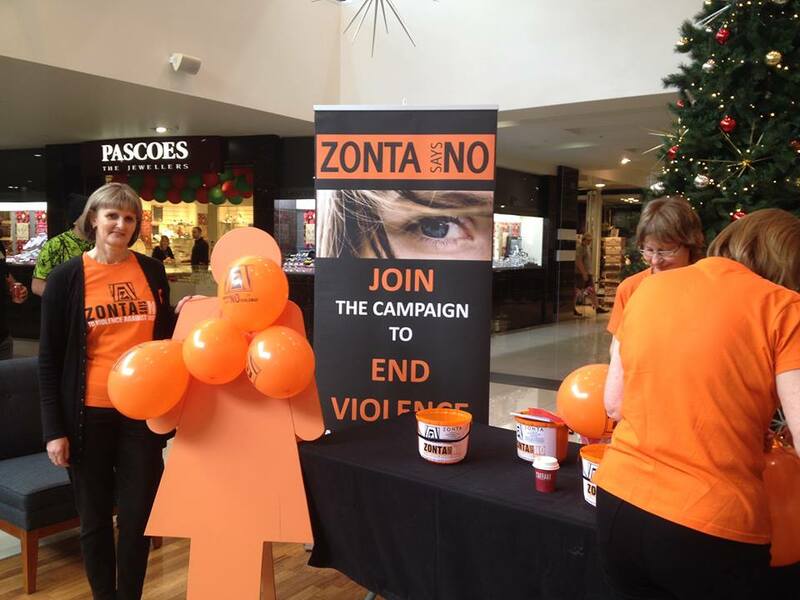 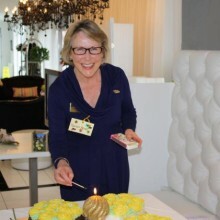 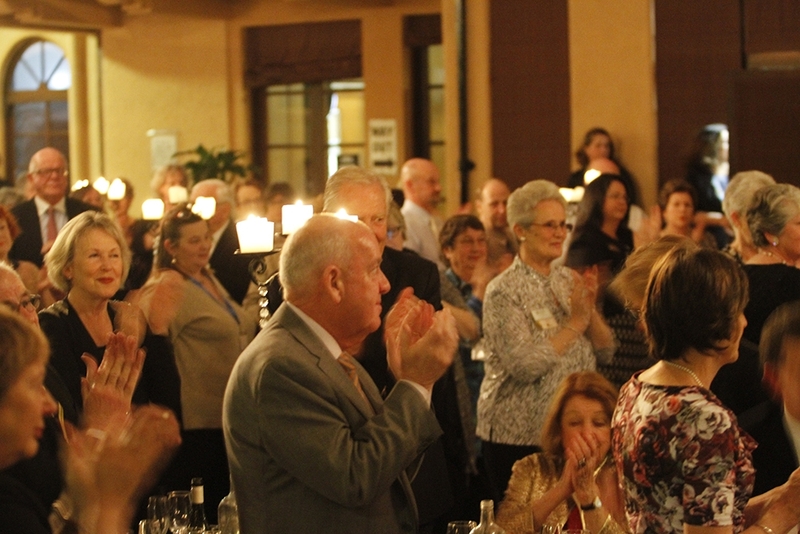 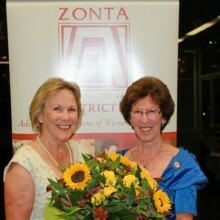 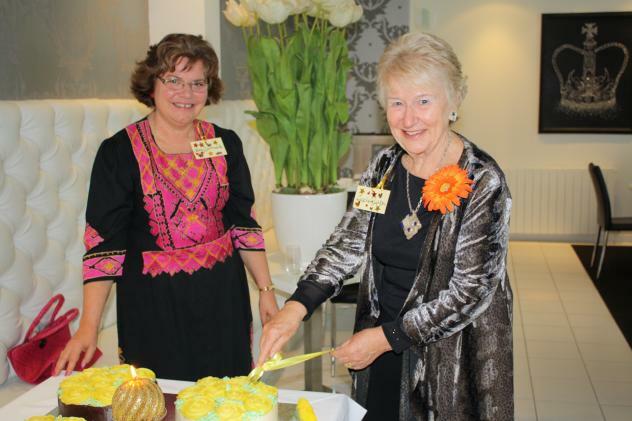 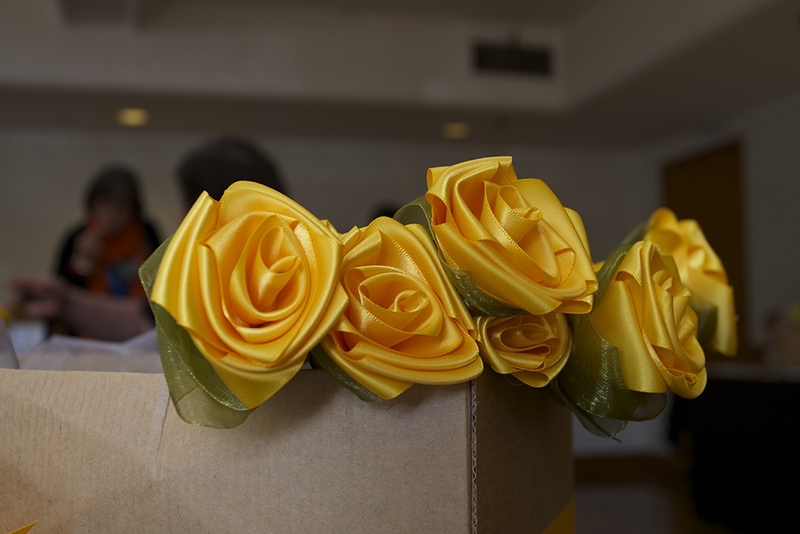 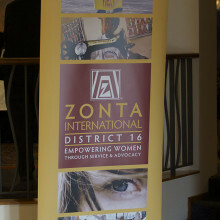 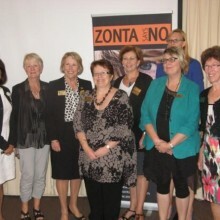 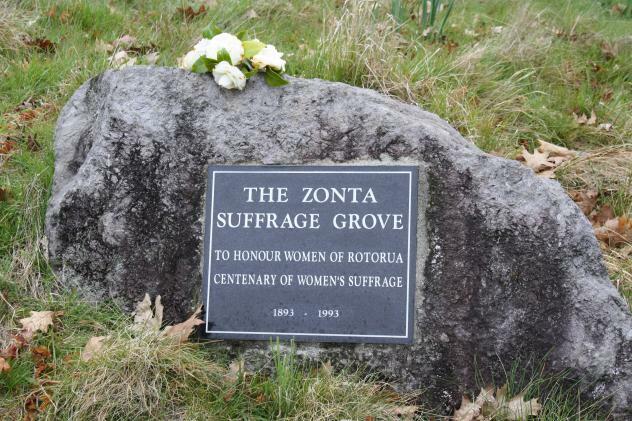 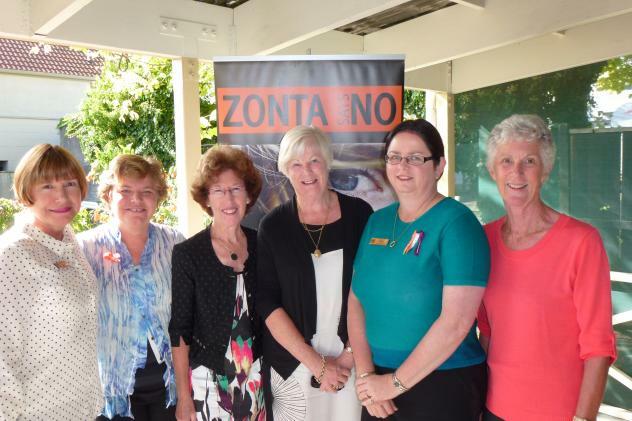 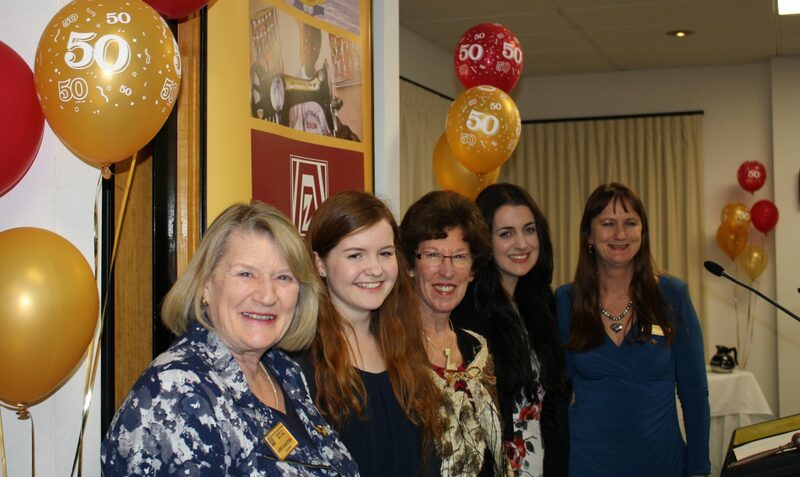 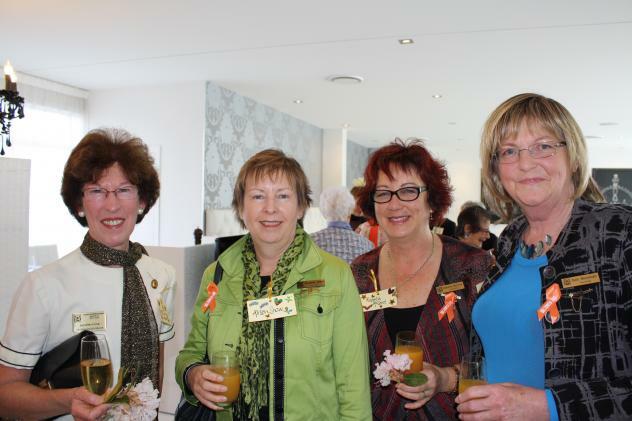 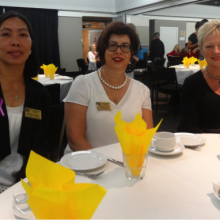 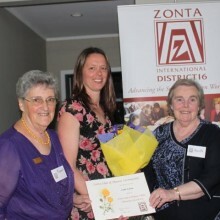 Zonta Club of Marlborough’s 20th birthday cake – it was delicious! 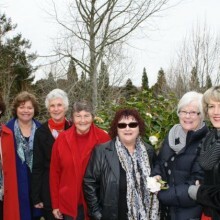 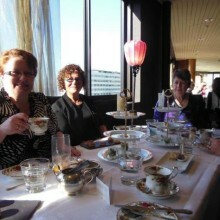 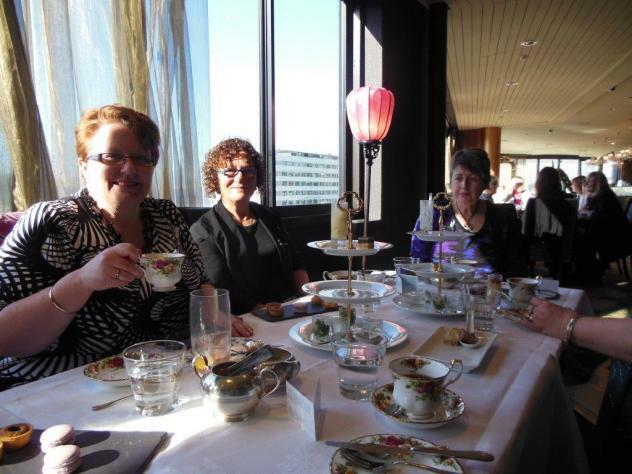 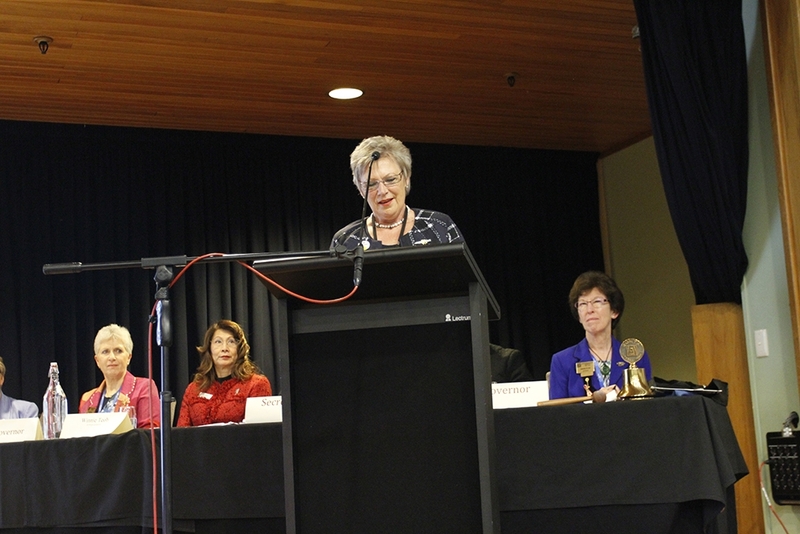 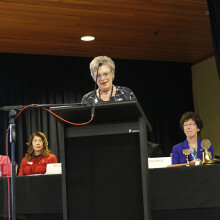 VP Clare Pinder at the head of the table with assorted members and past members as well as Deputy Mayor Jenny Andrews. 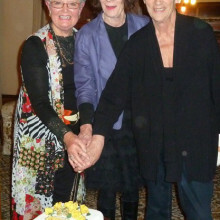 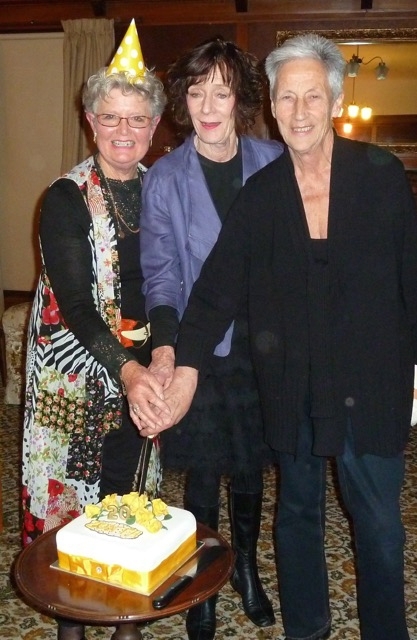 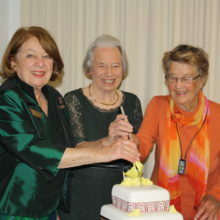 Bridget, Judith and Maggie, three members who have been with the Club the longest time, cut the birthday cake! 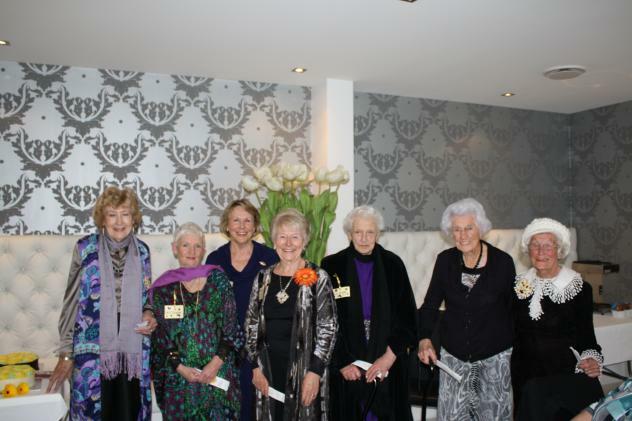 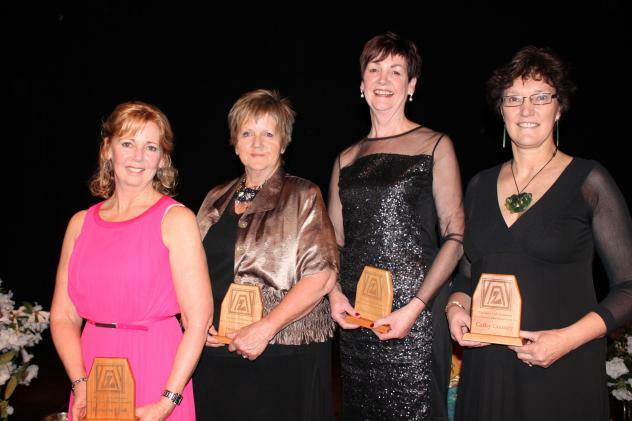 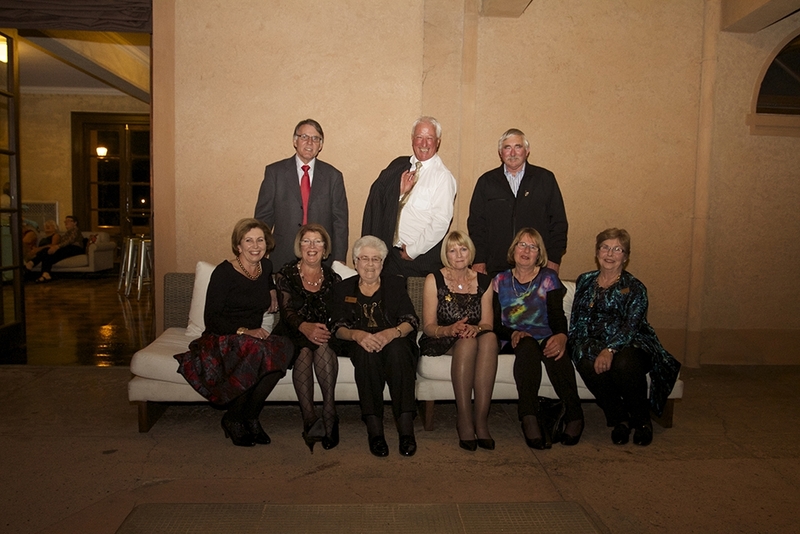 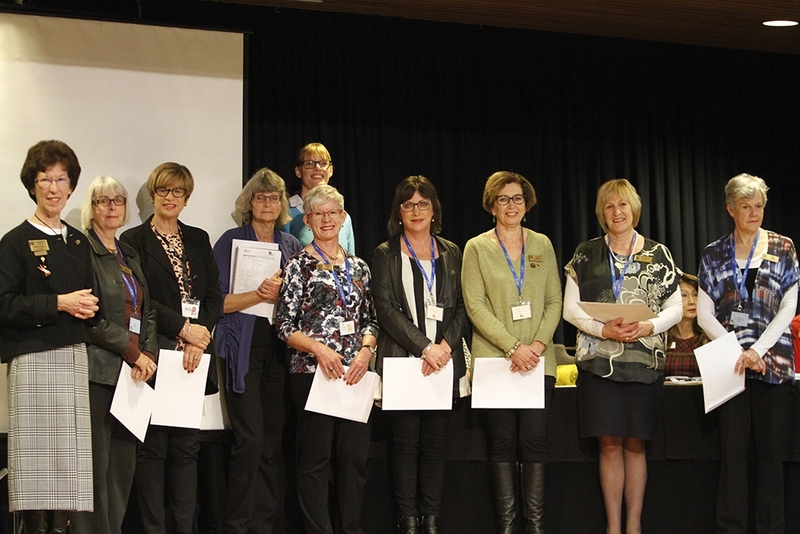 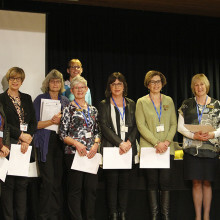 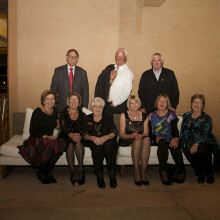 Charter Members – Past and Present L-R Wyn Miller, Pat Campbell, Mary Kincaid, Glen Price, Indrani Bedi, Gillian Parr and Linda Nutt.